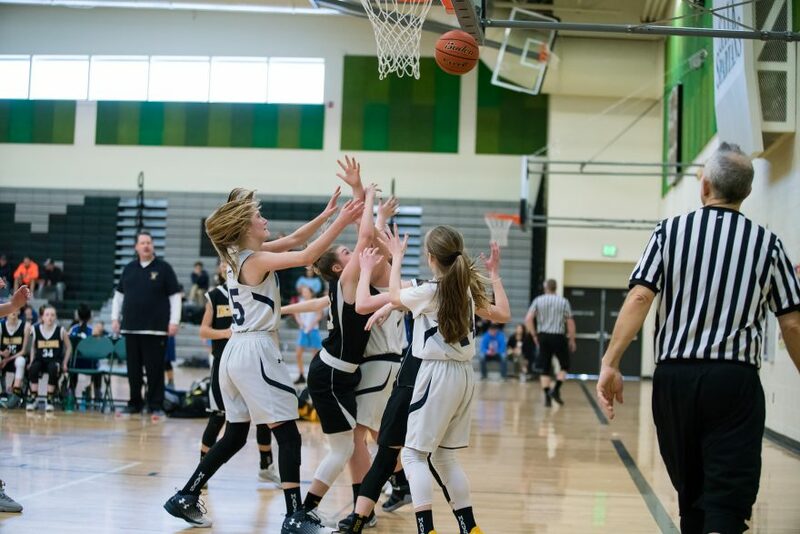 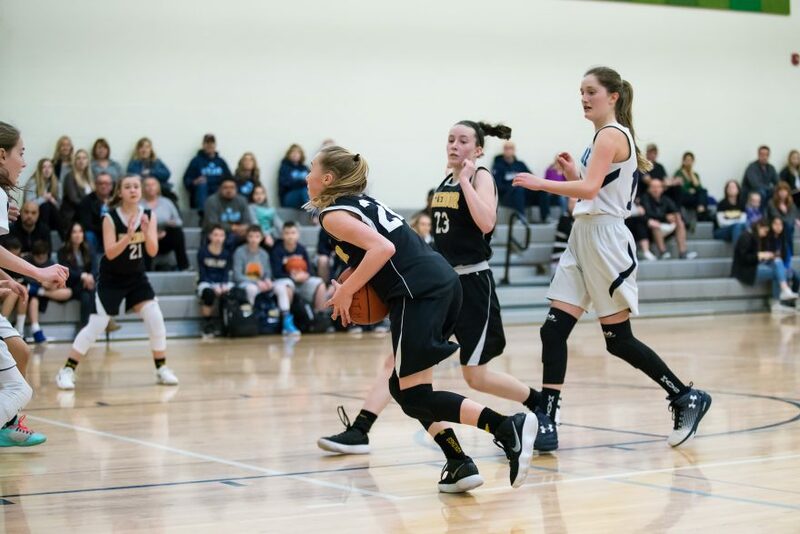 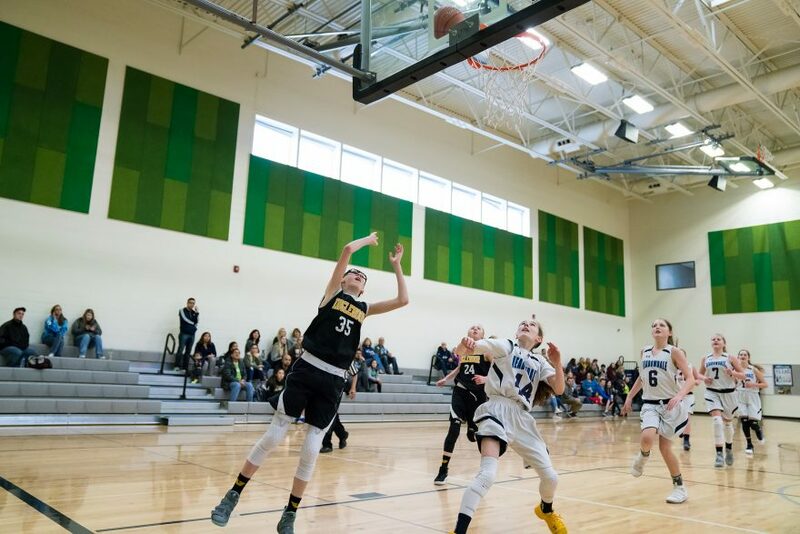 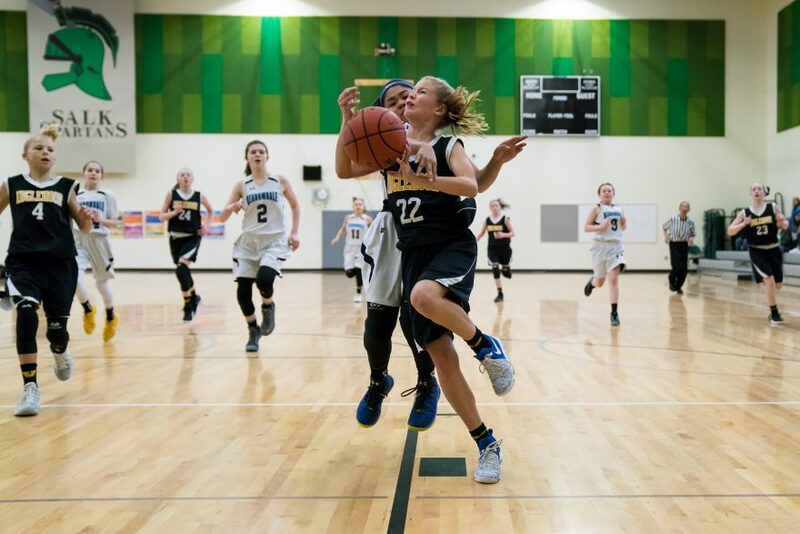 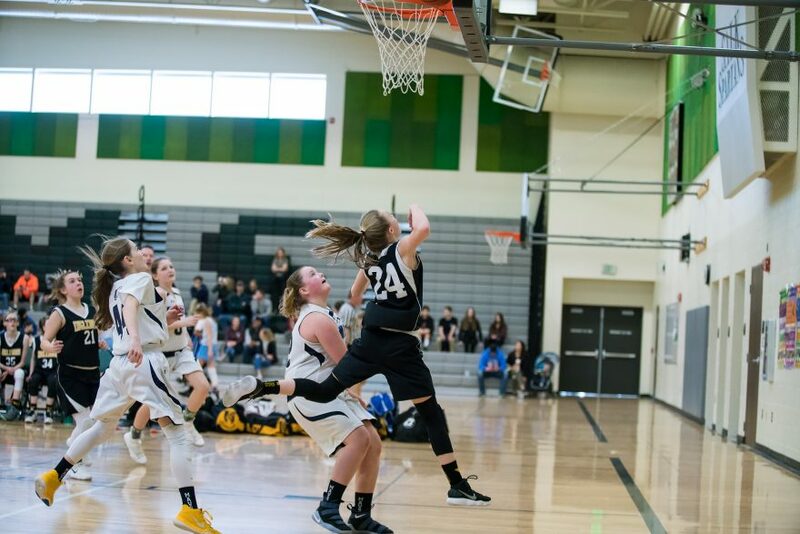 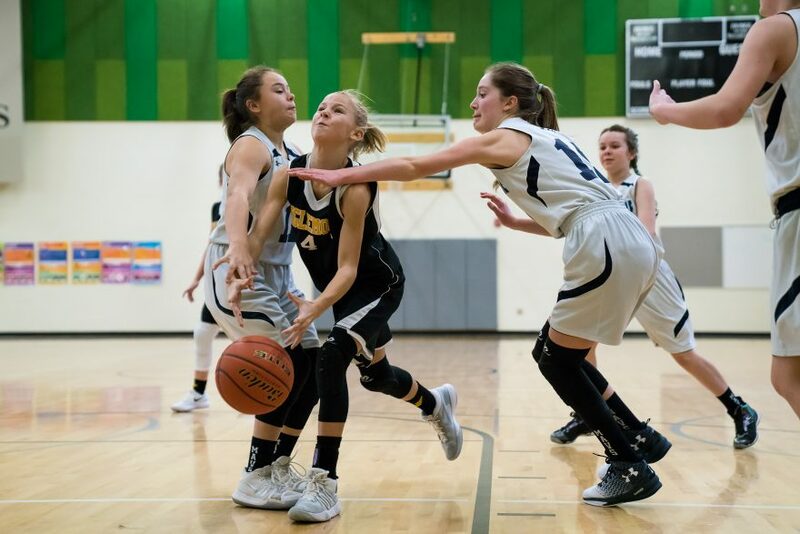 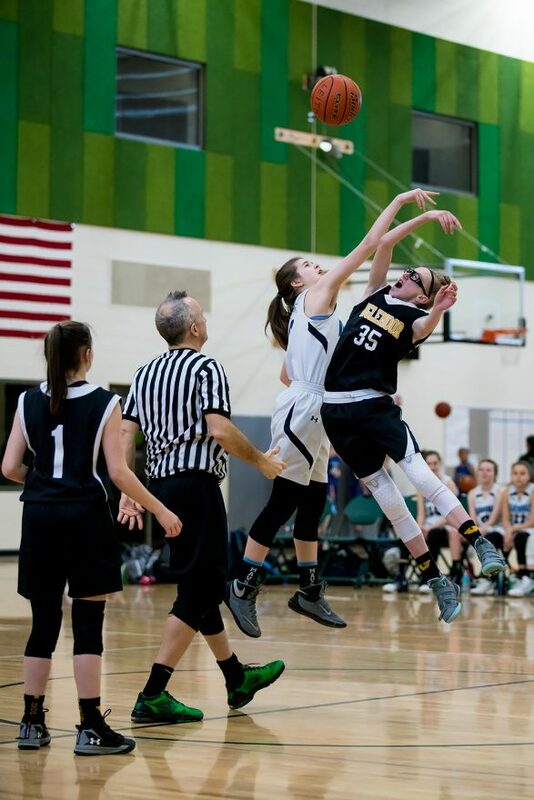 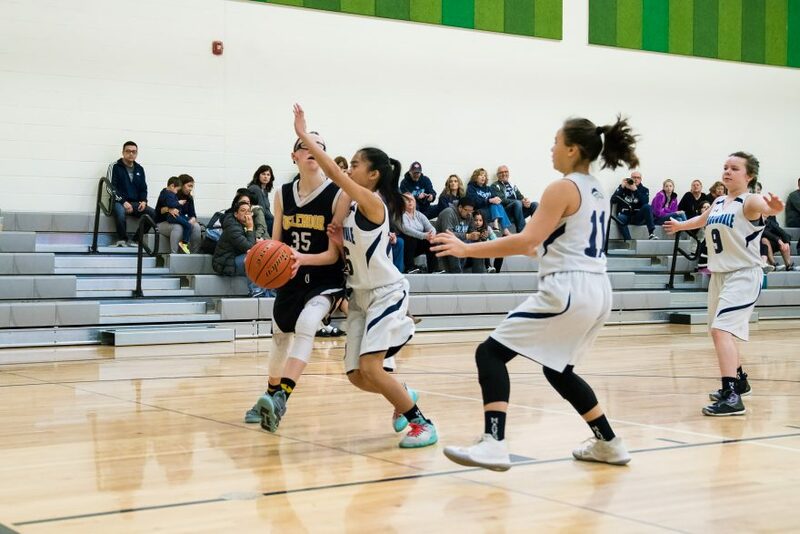 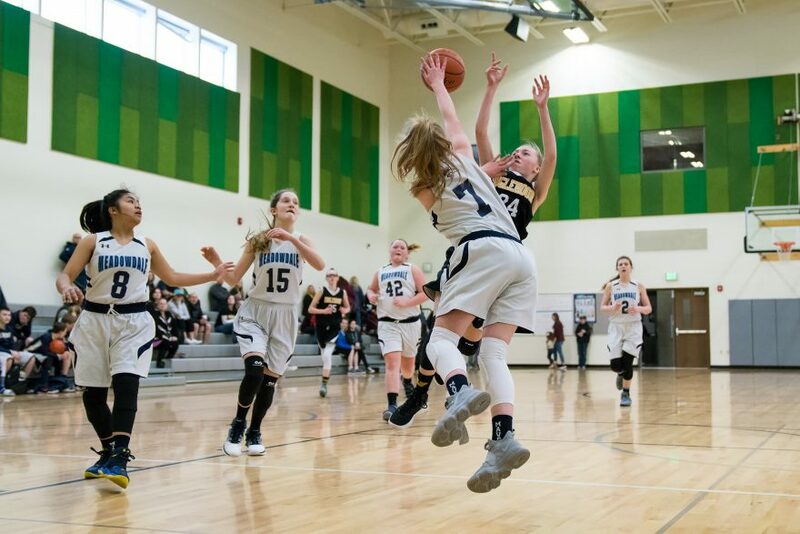 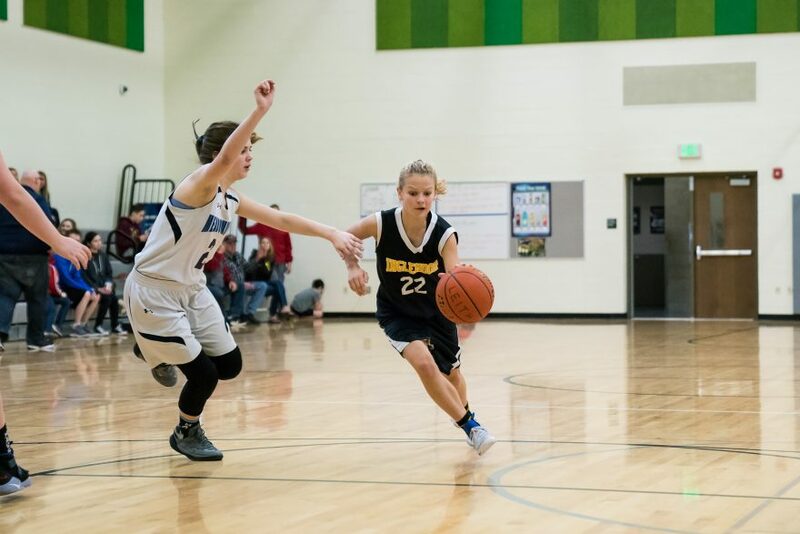 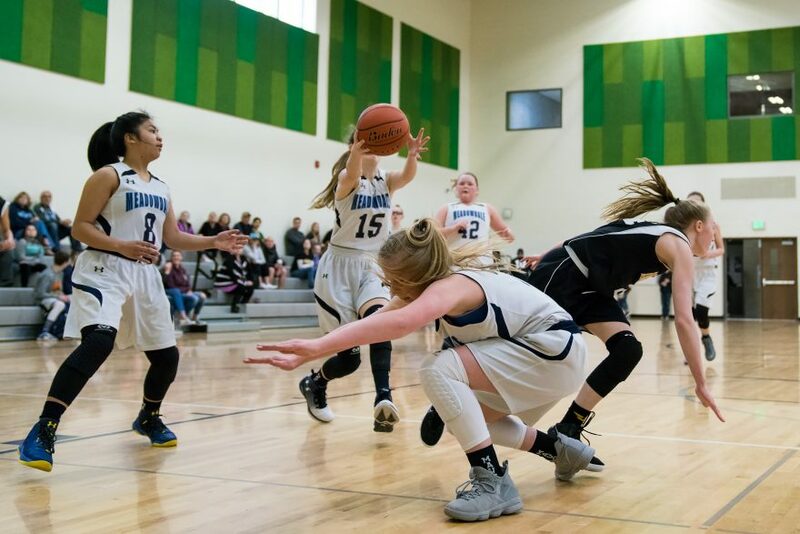 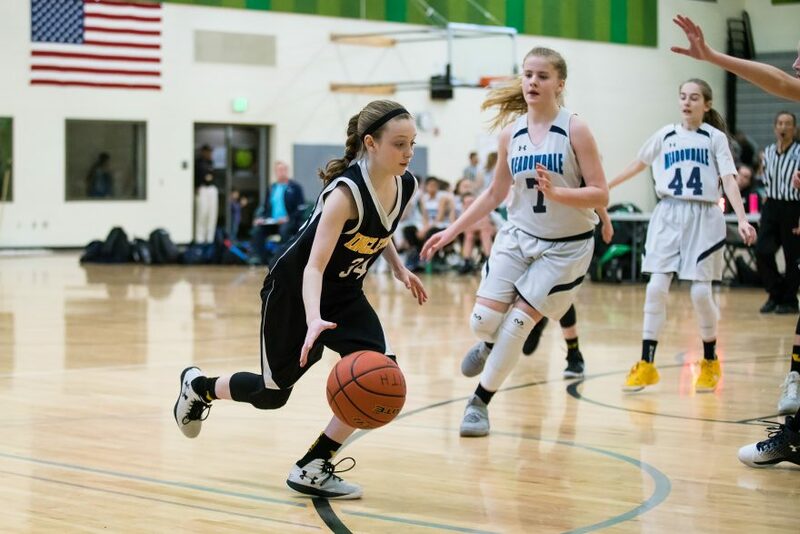 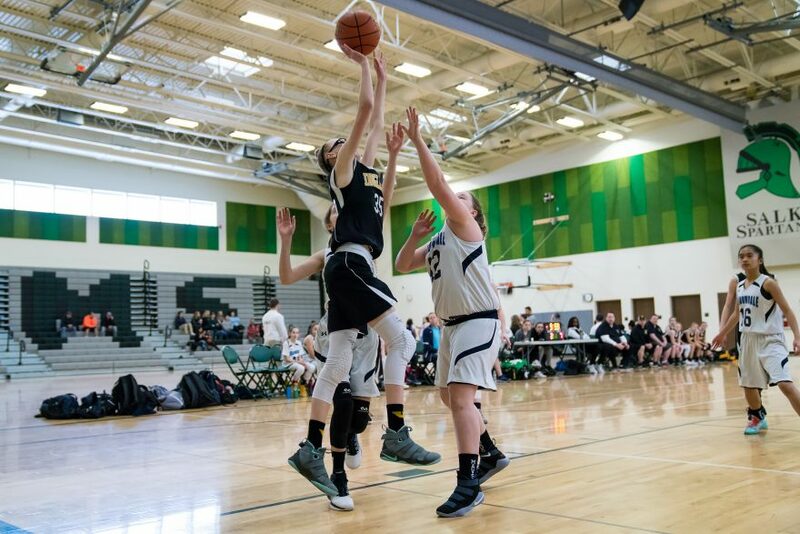 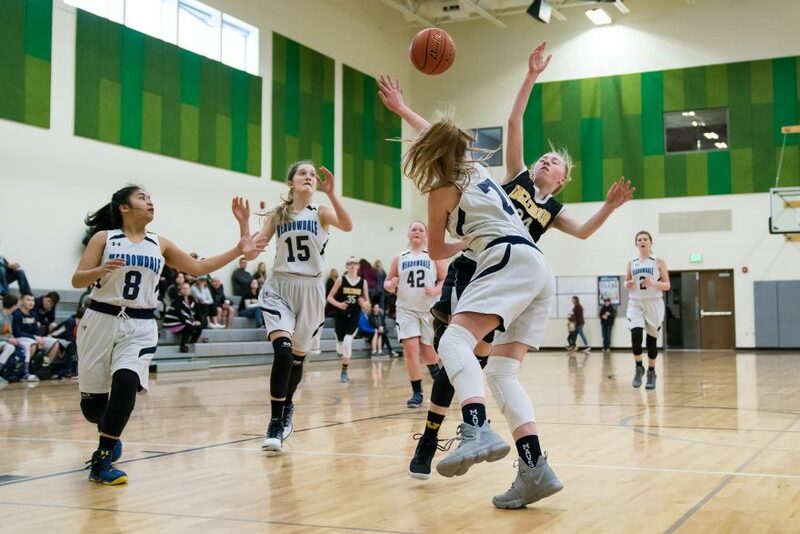 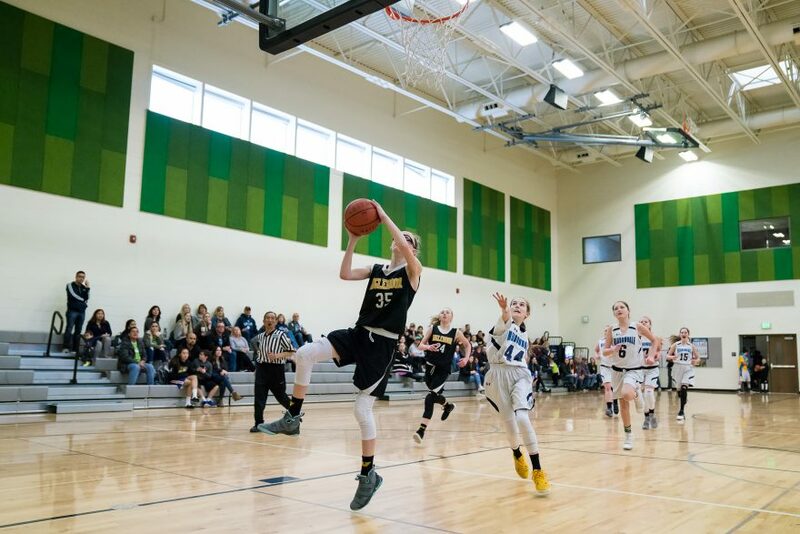 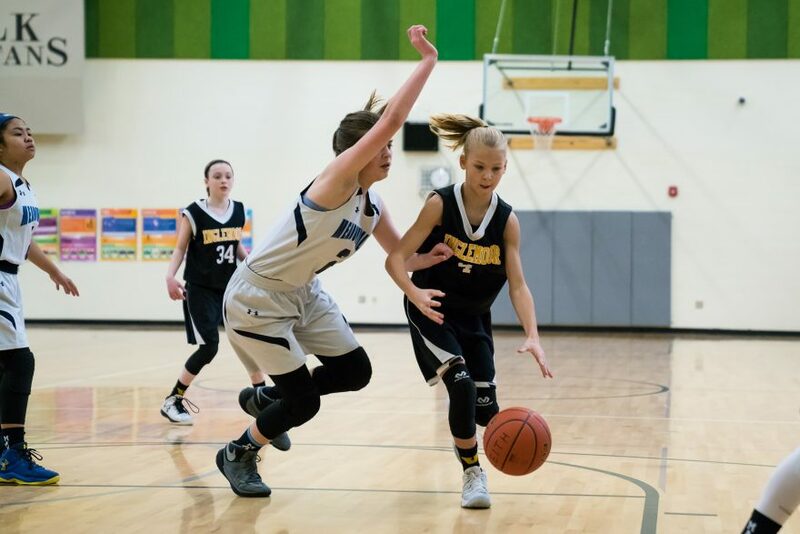 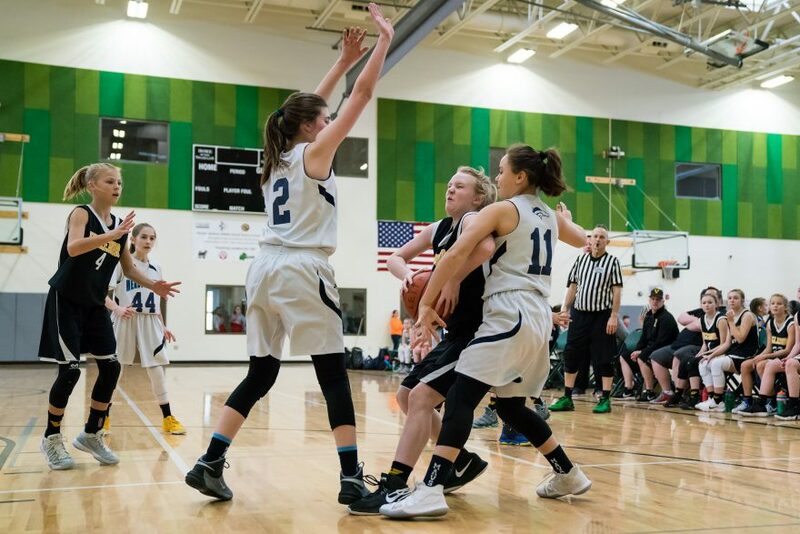 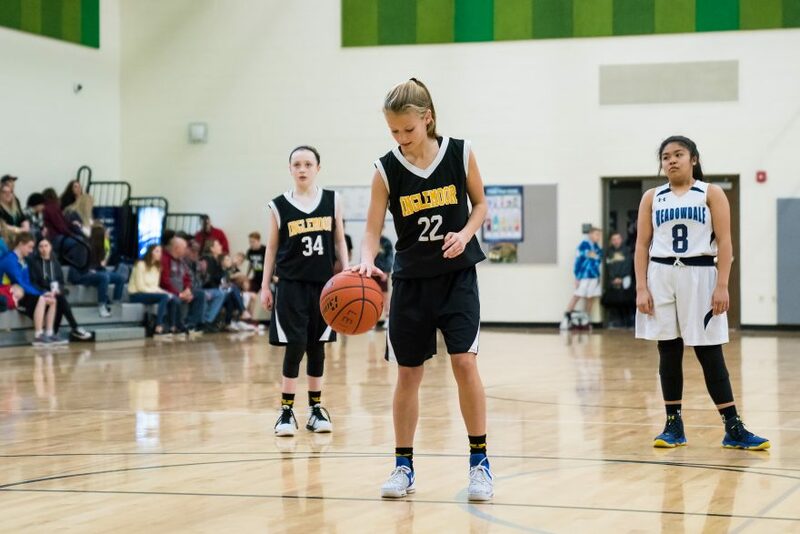 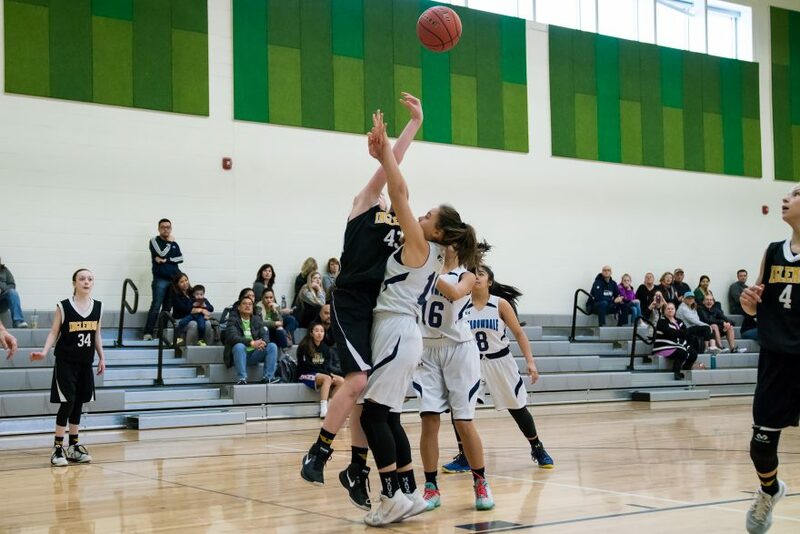 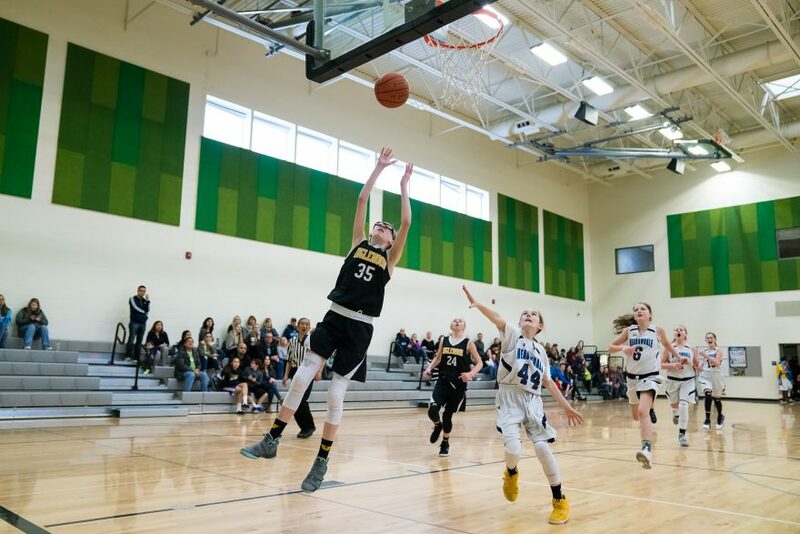 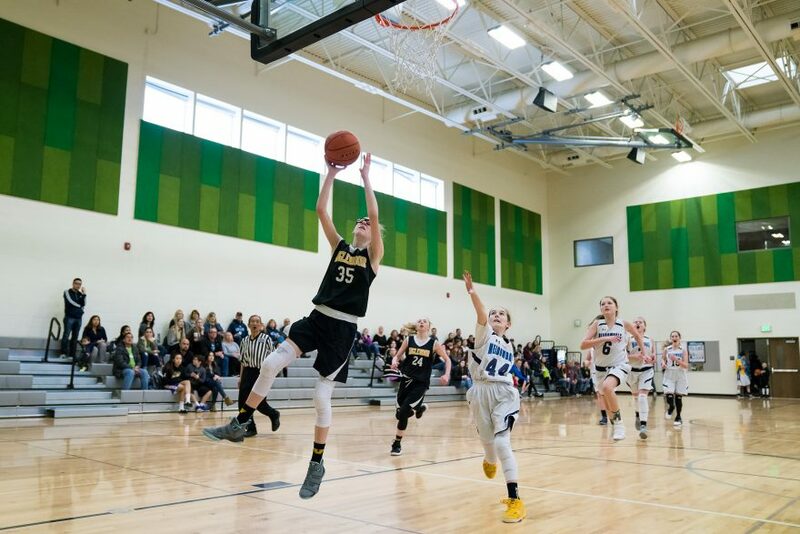 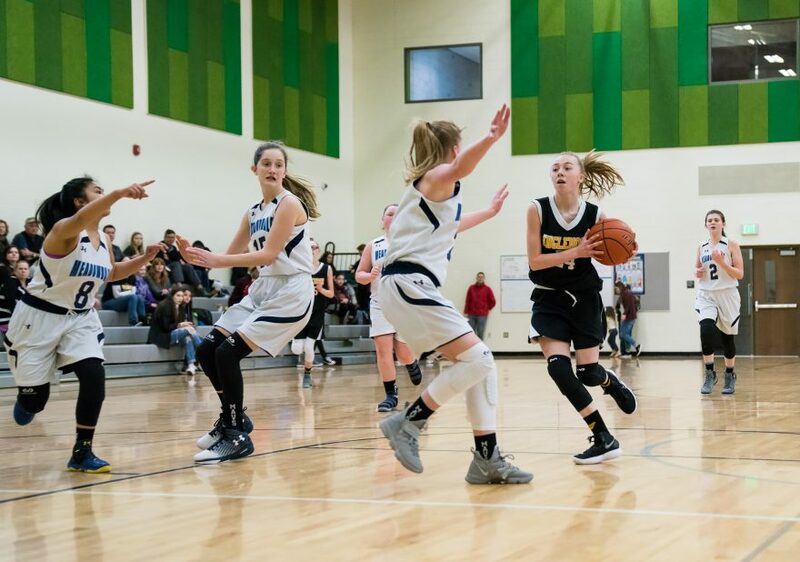 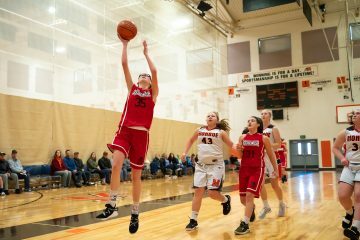 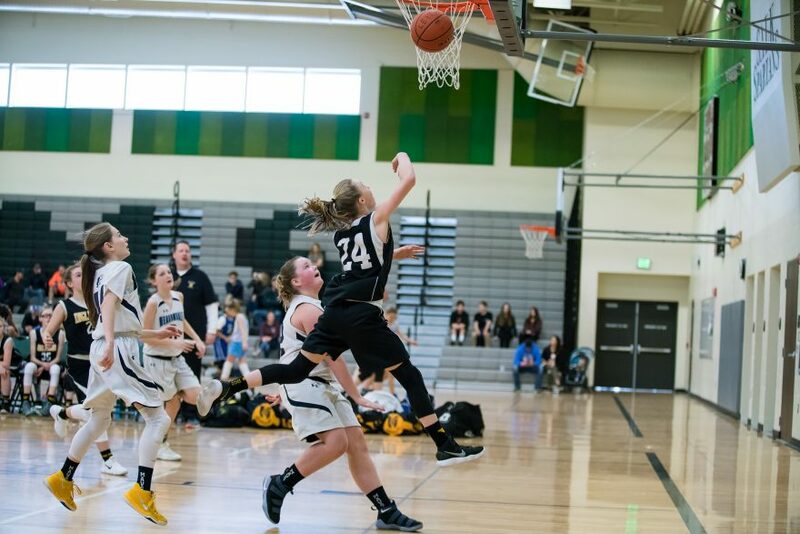 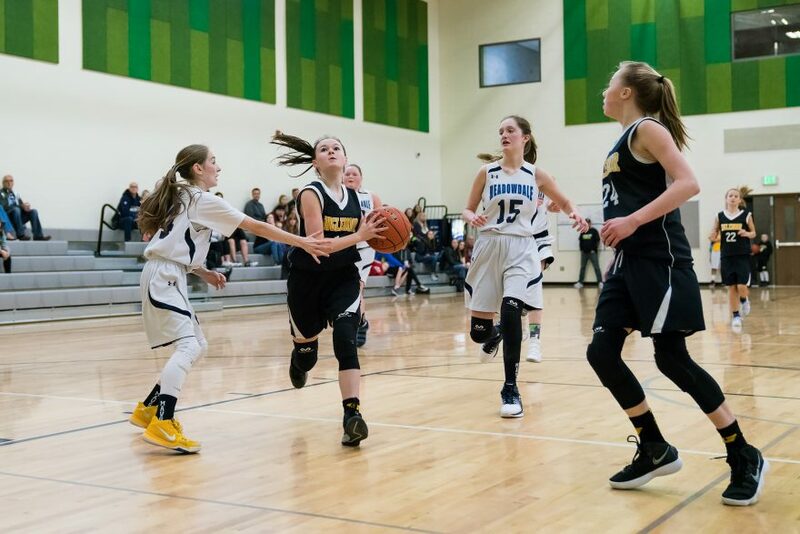 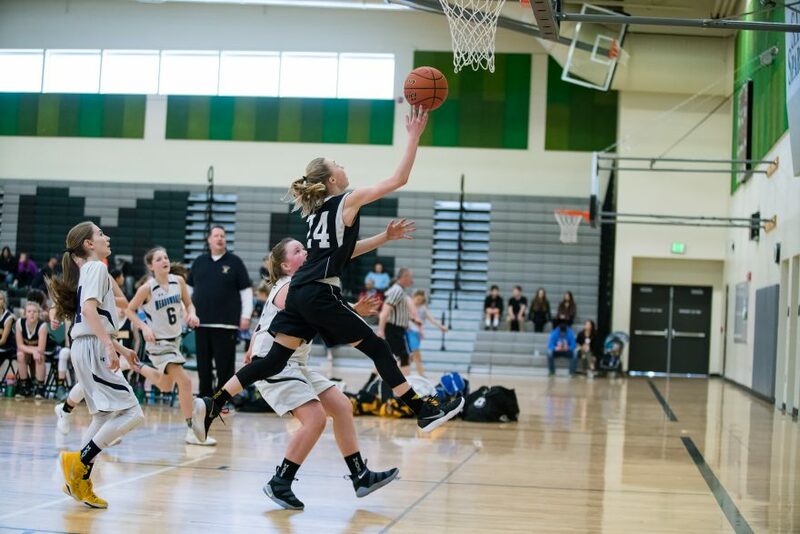 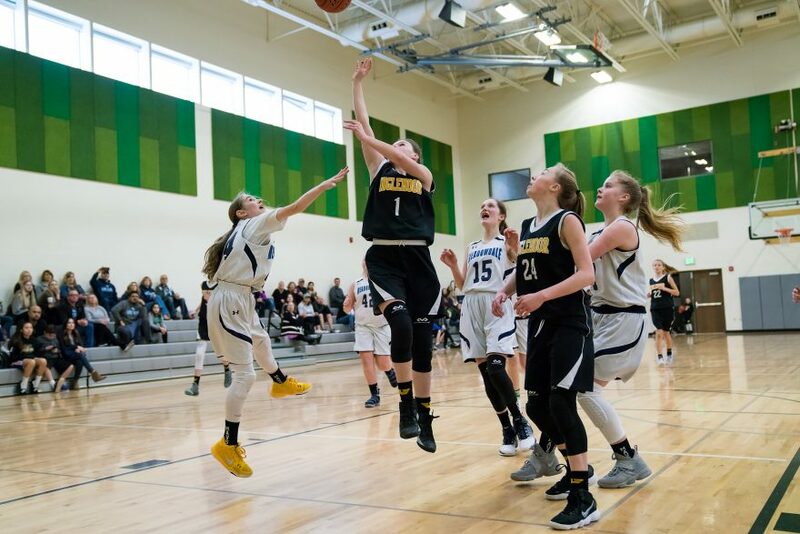 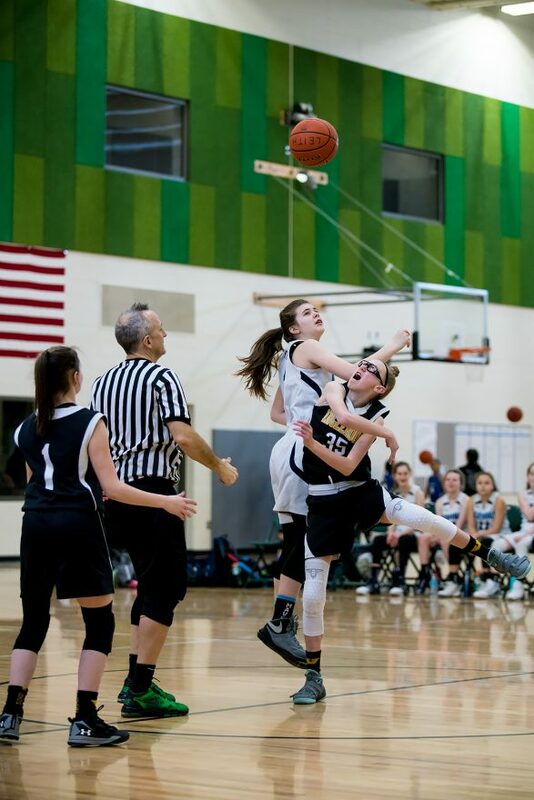 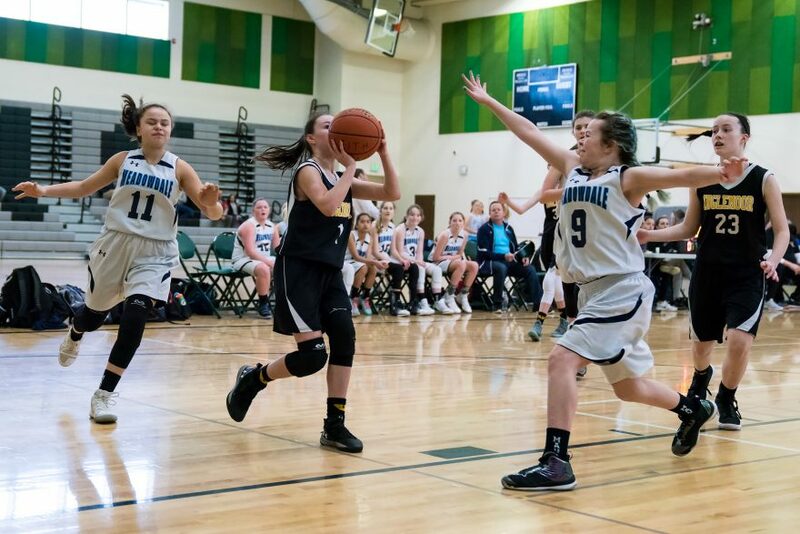 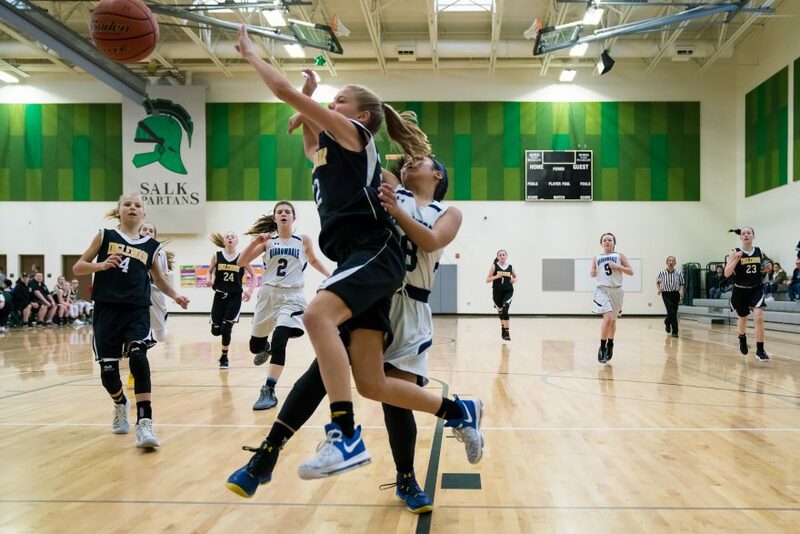 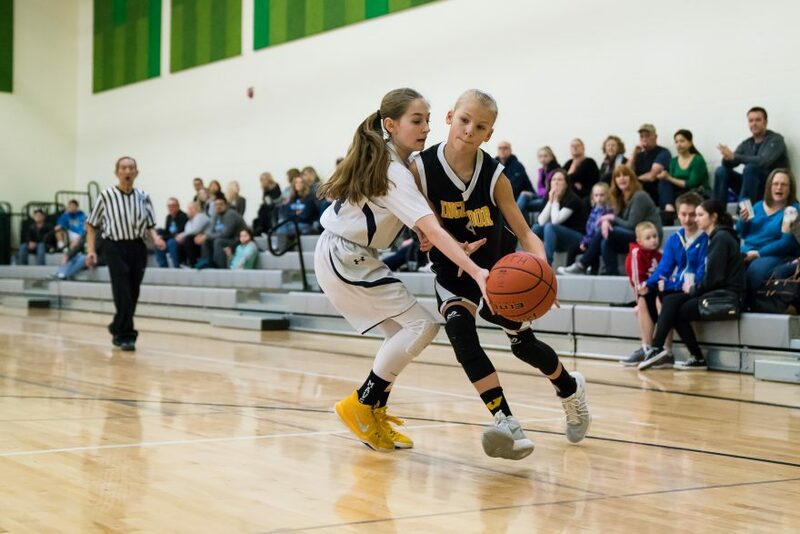 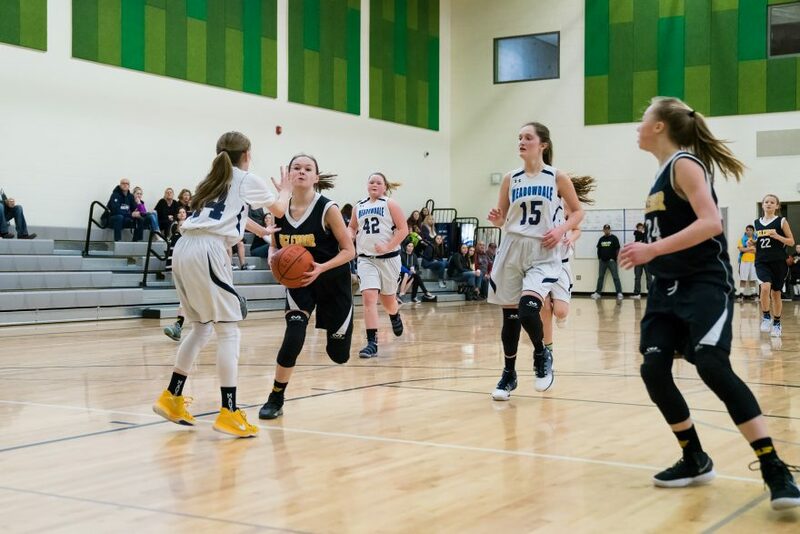 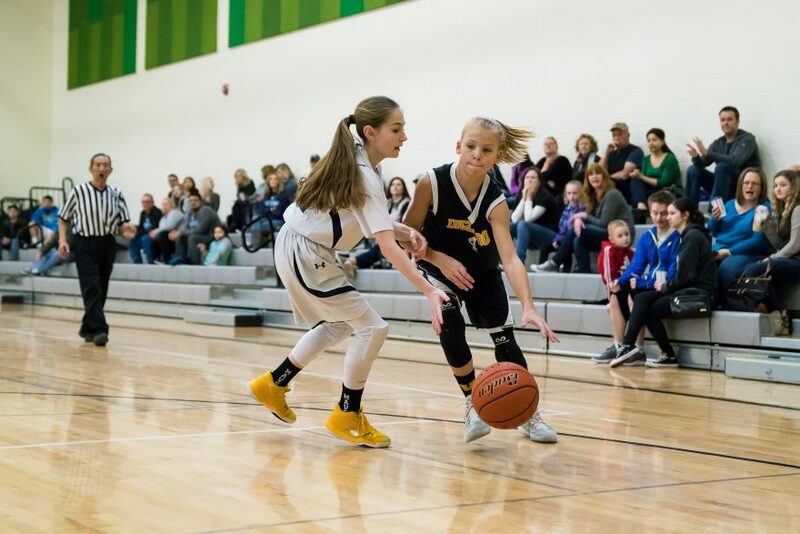 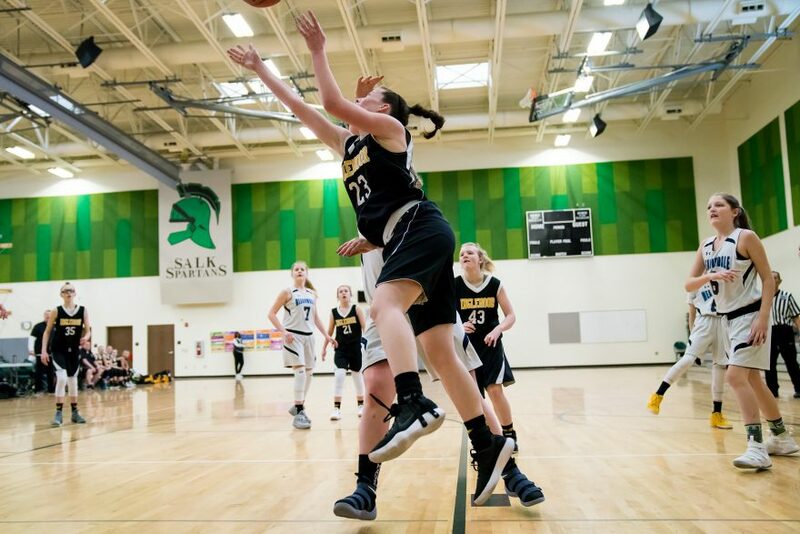 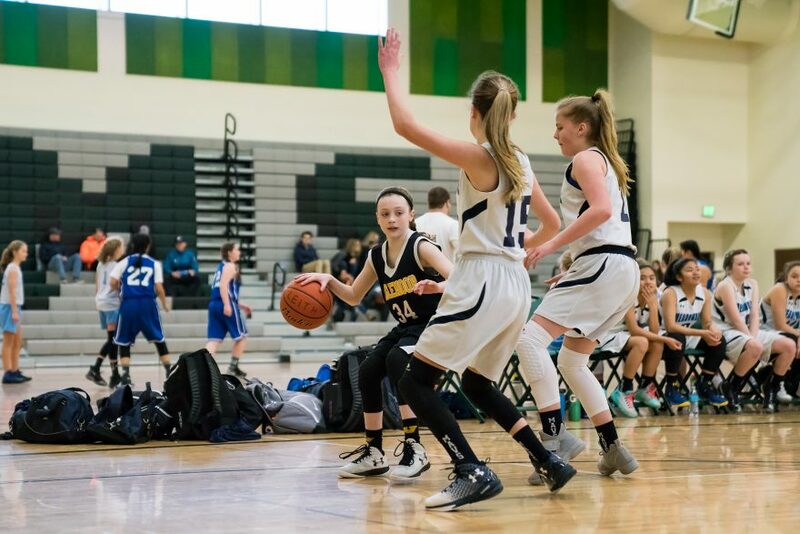 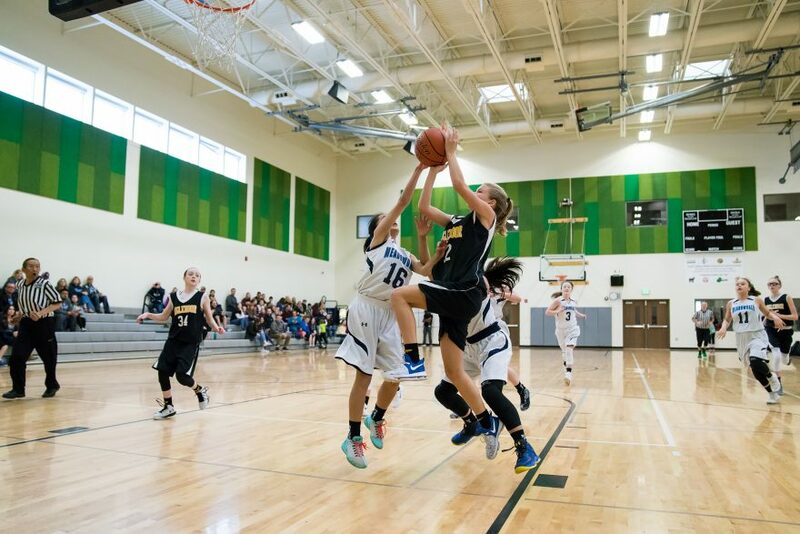 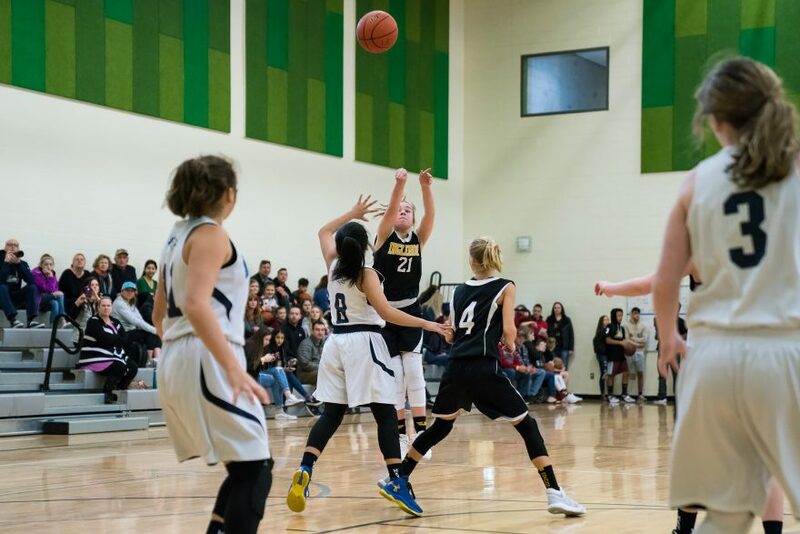 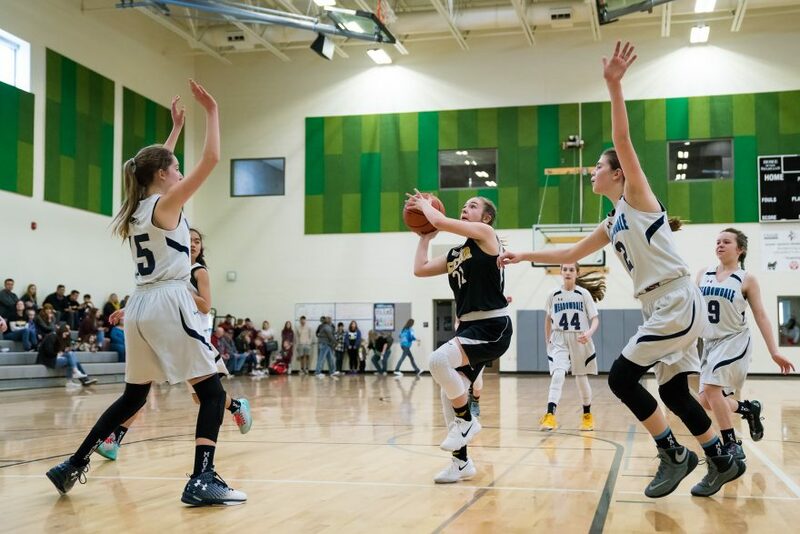 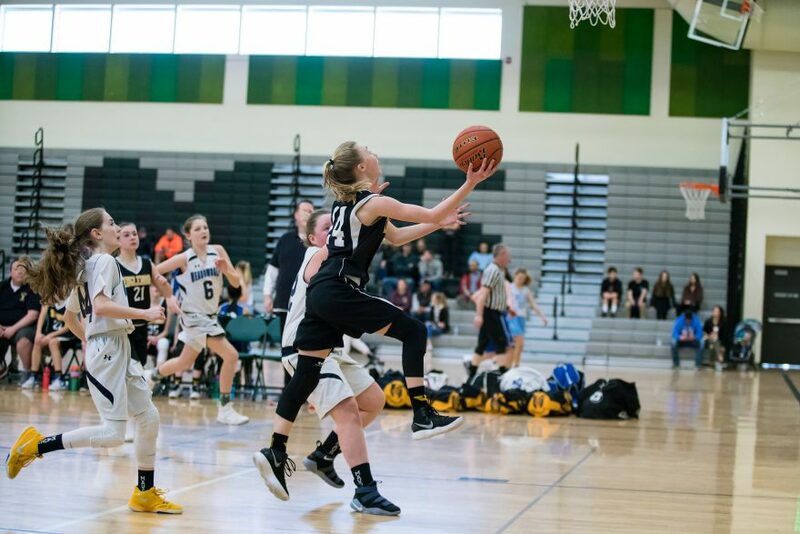 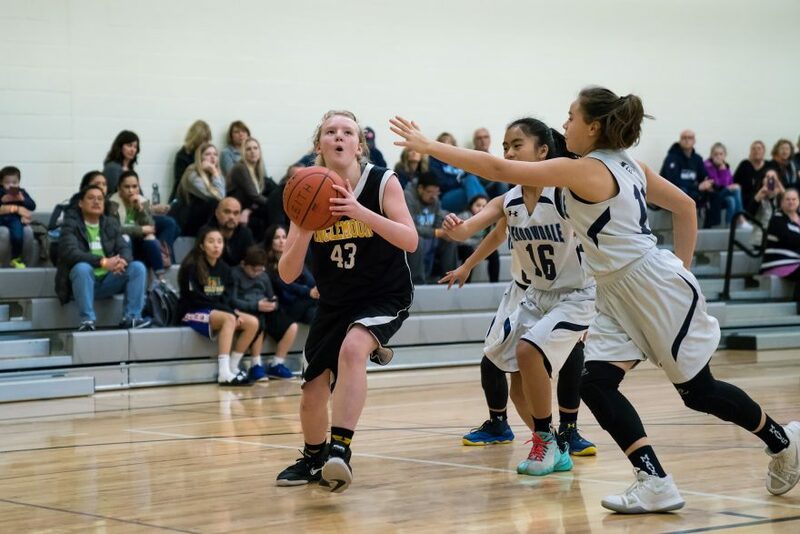 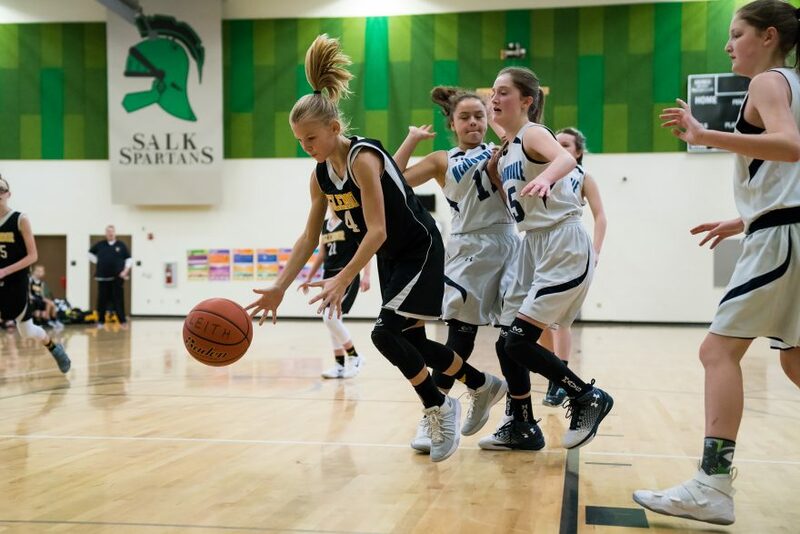 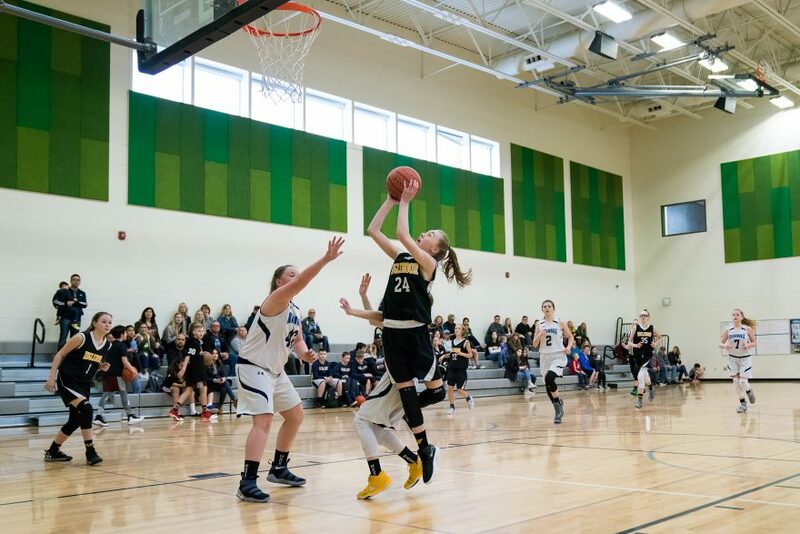 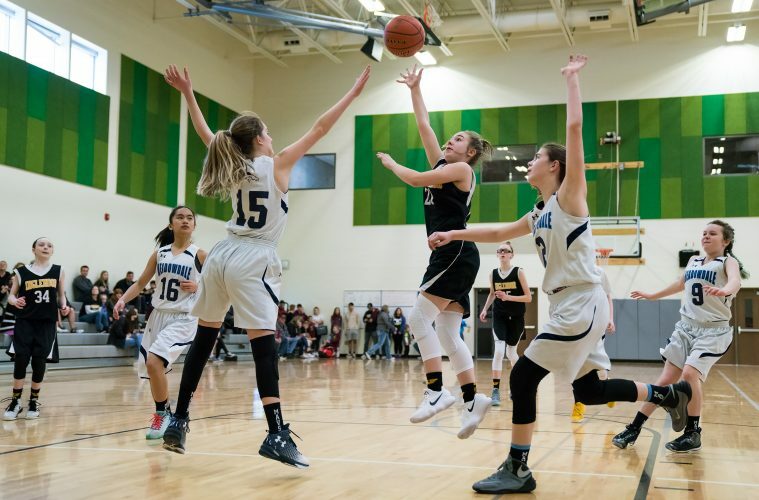 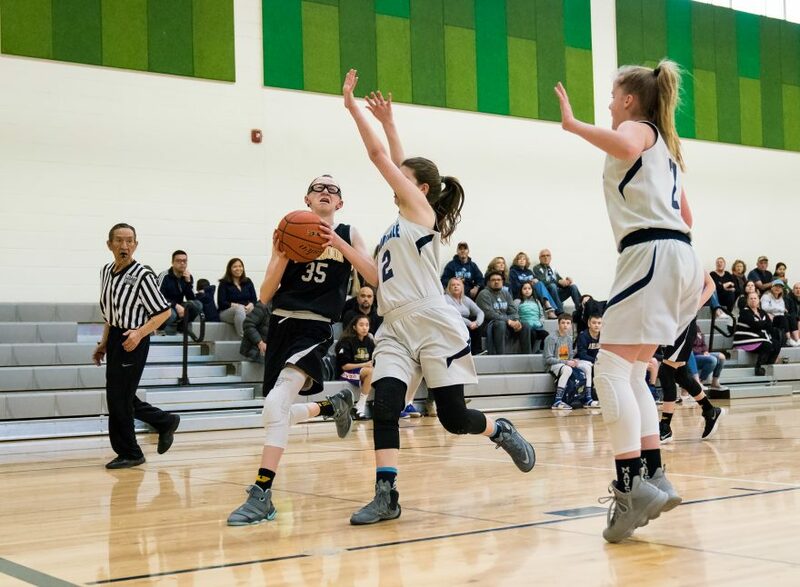 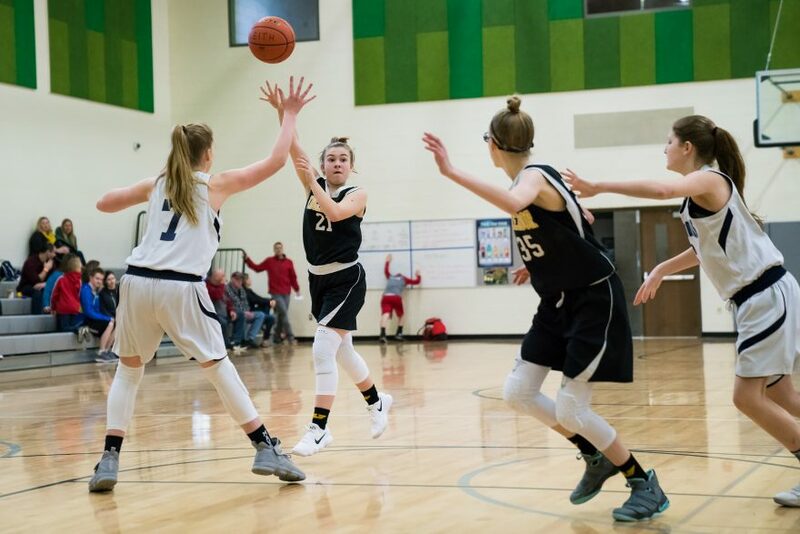 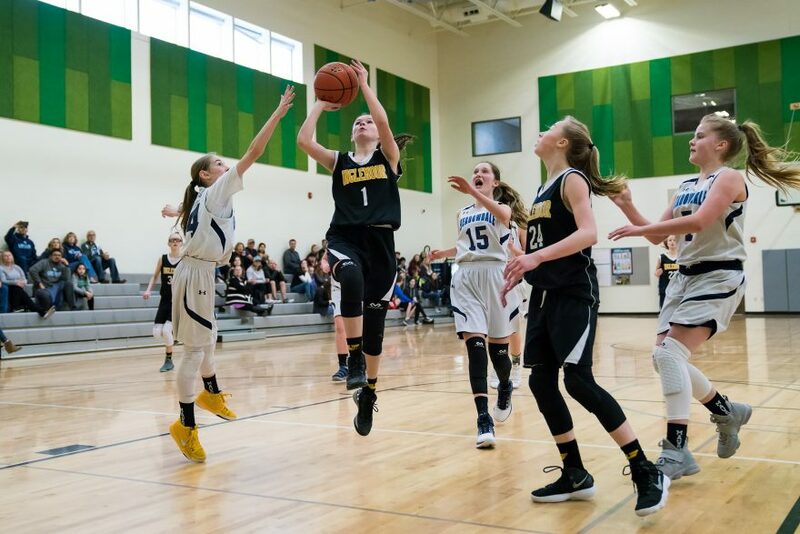 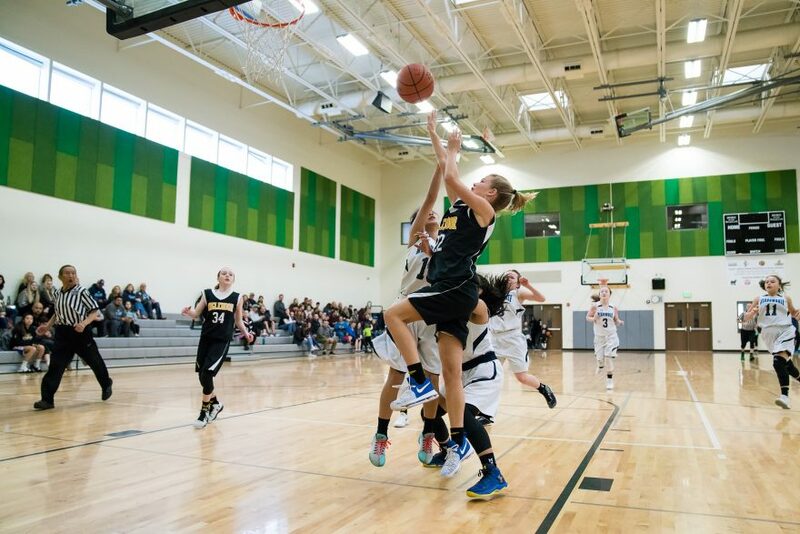 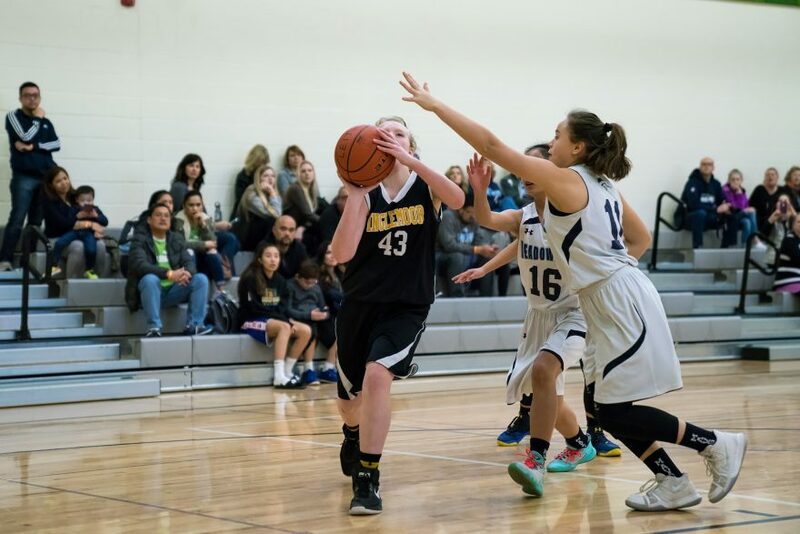 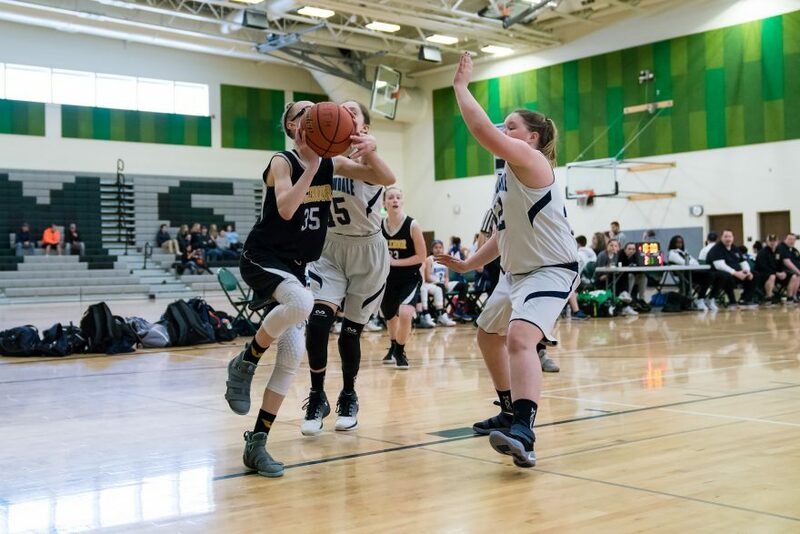 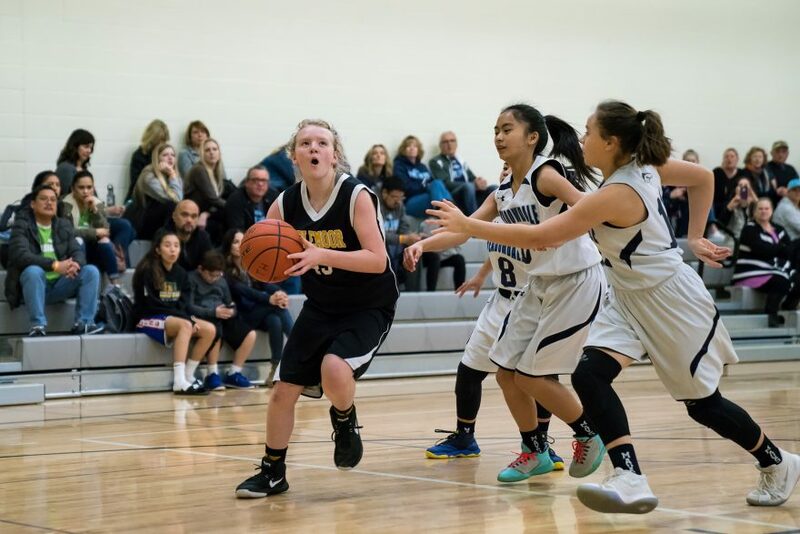 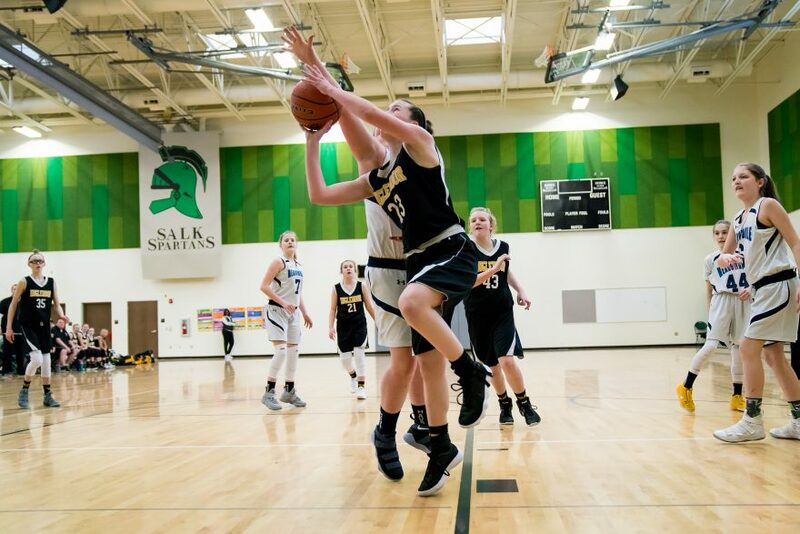 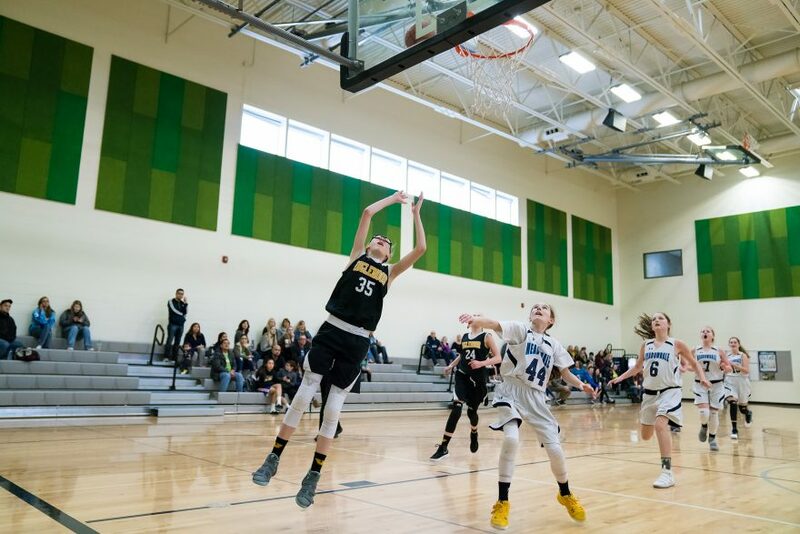 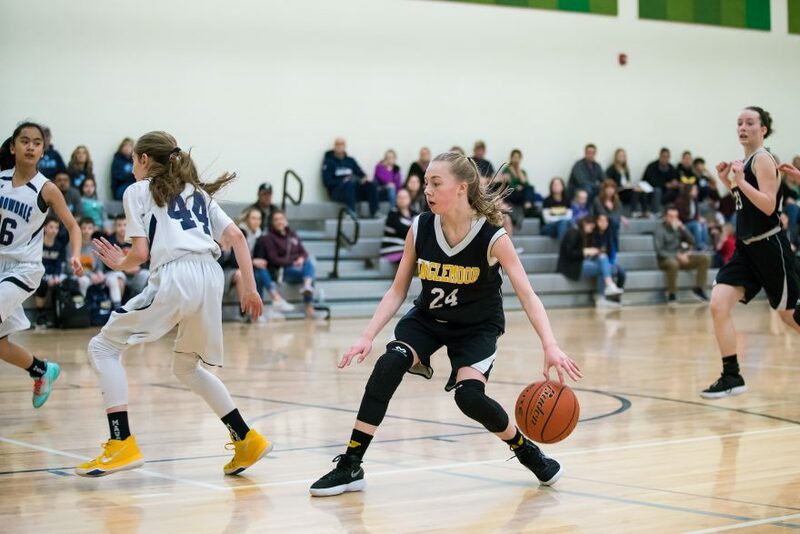 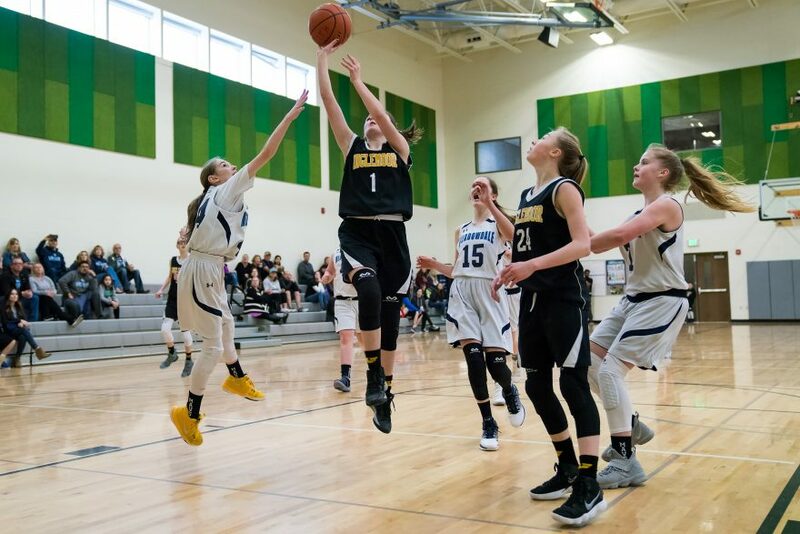 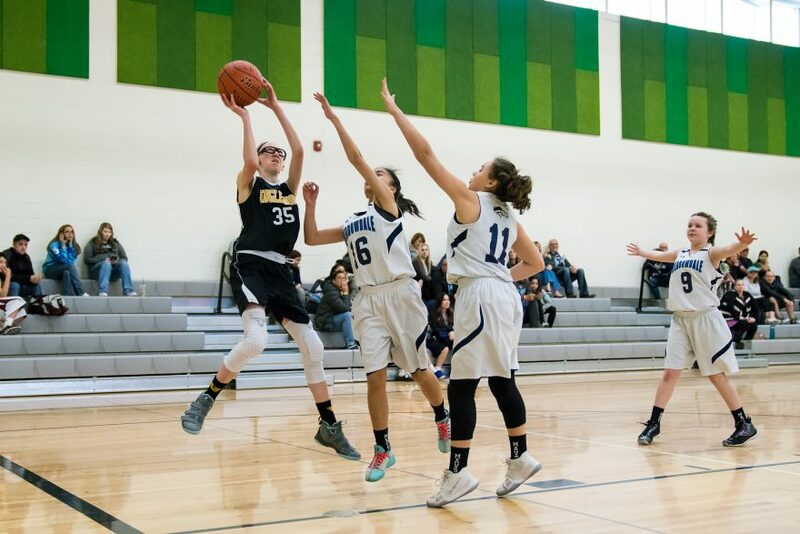 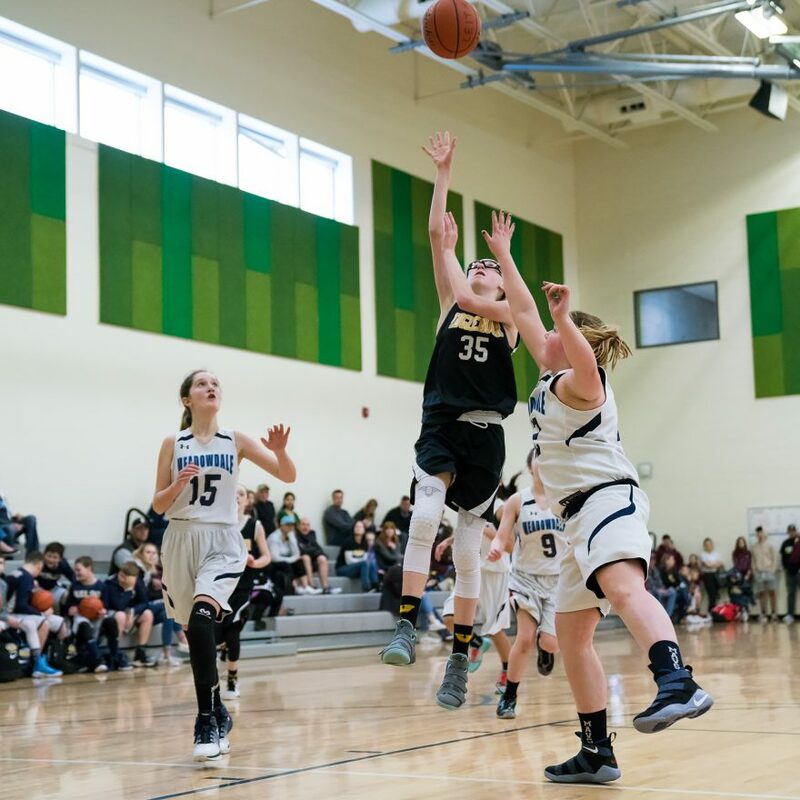 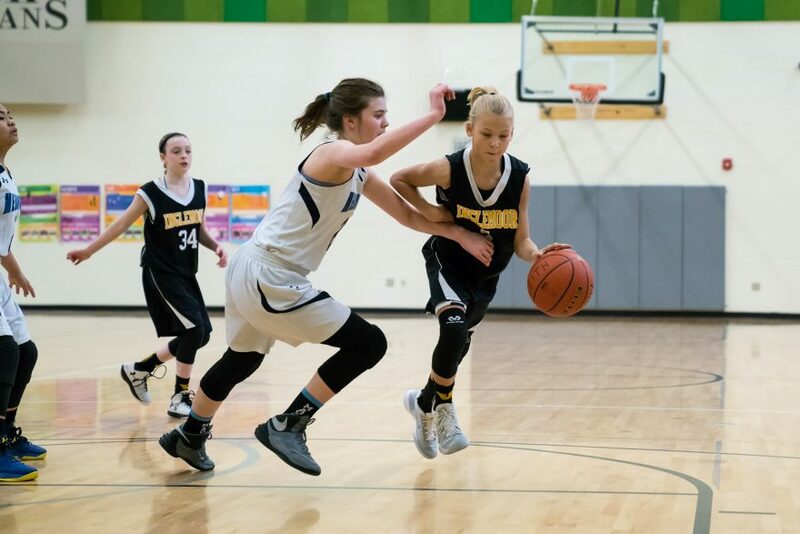 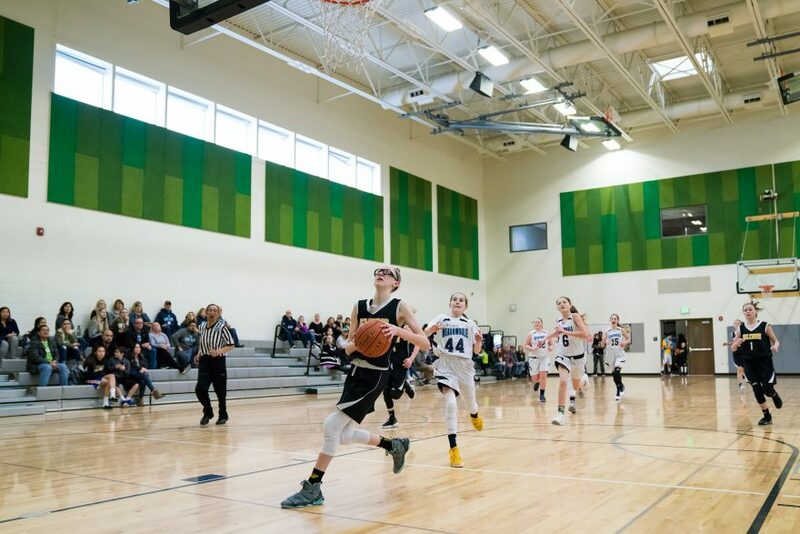 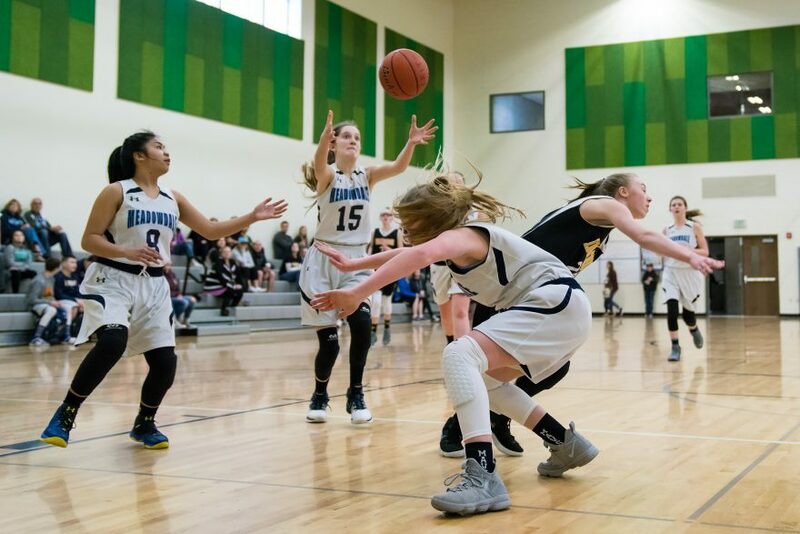 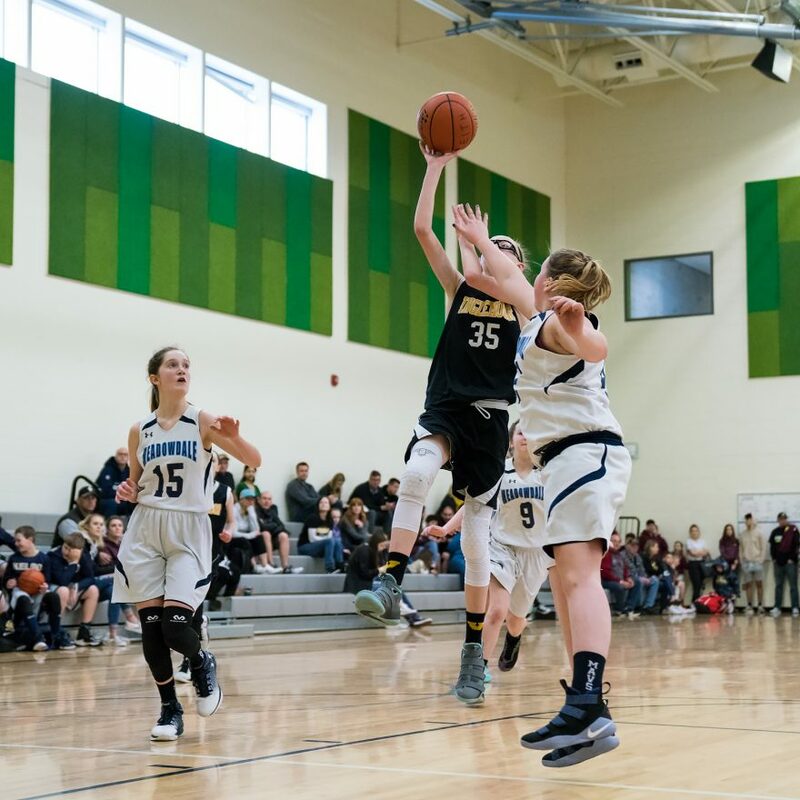 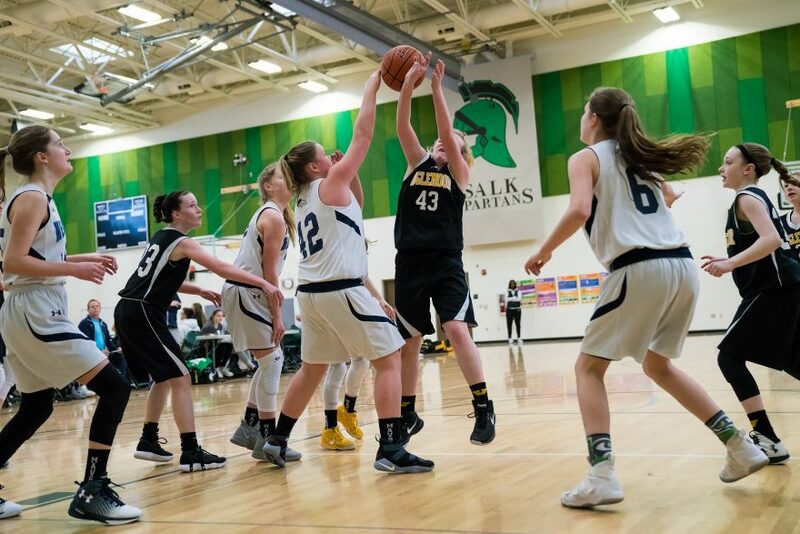 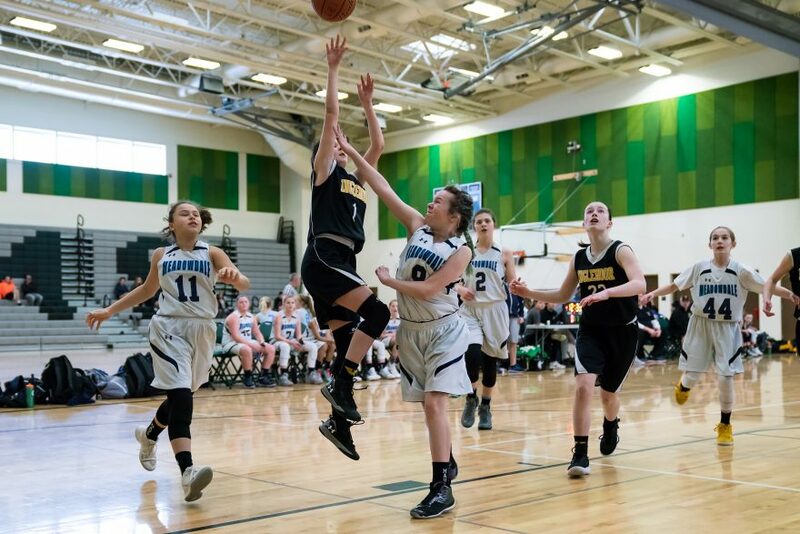 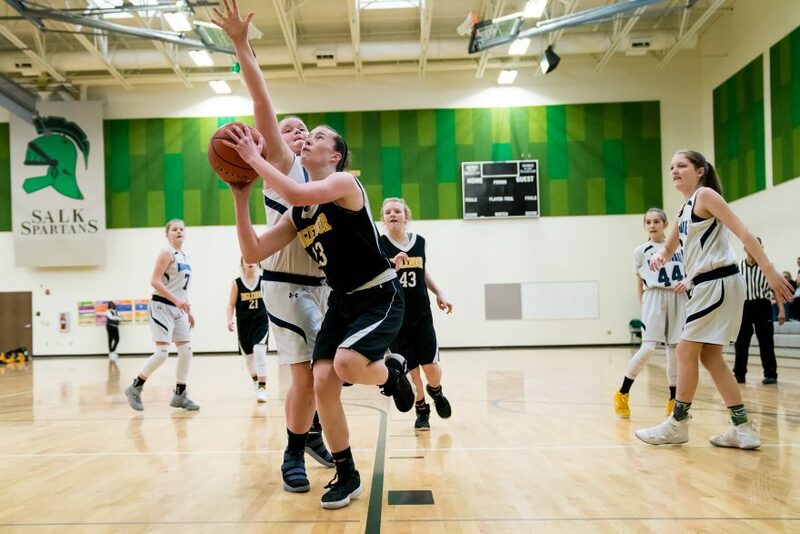 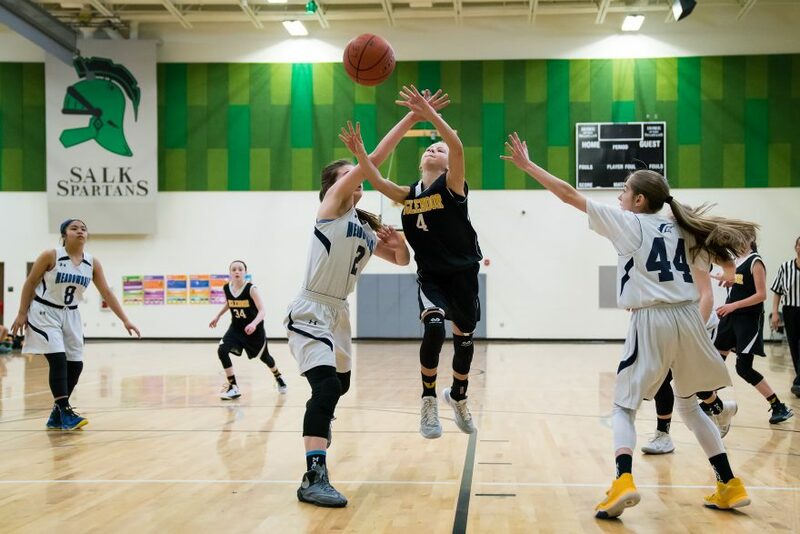 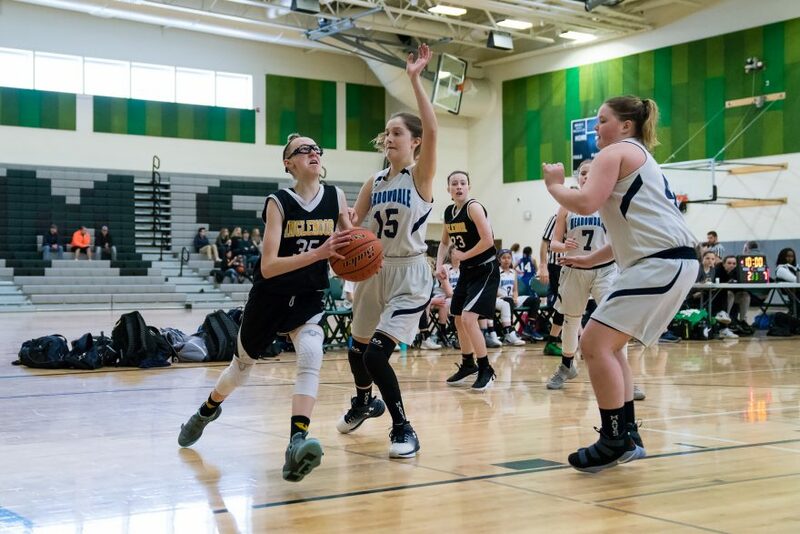 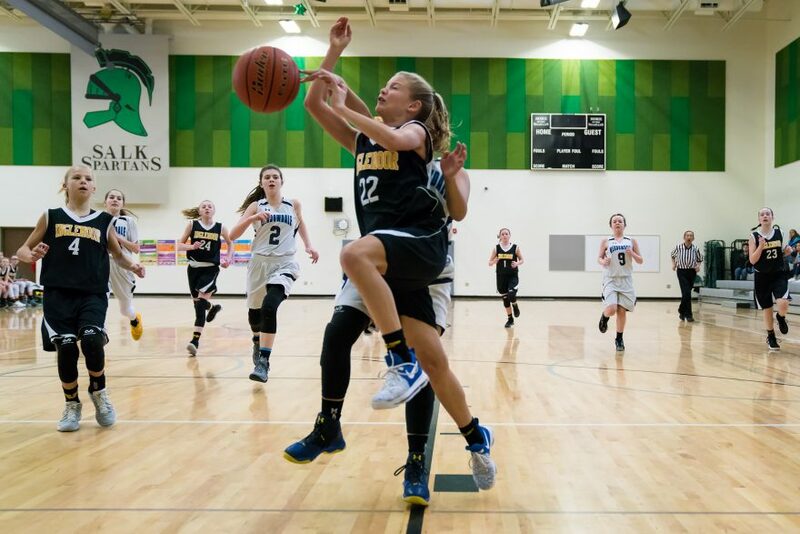 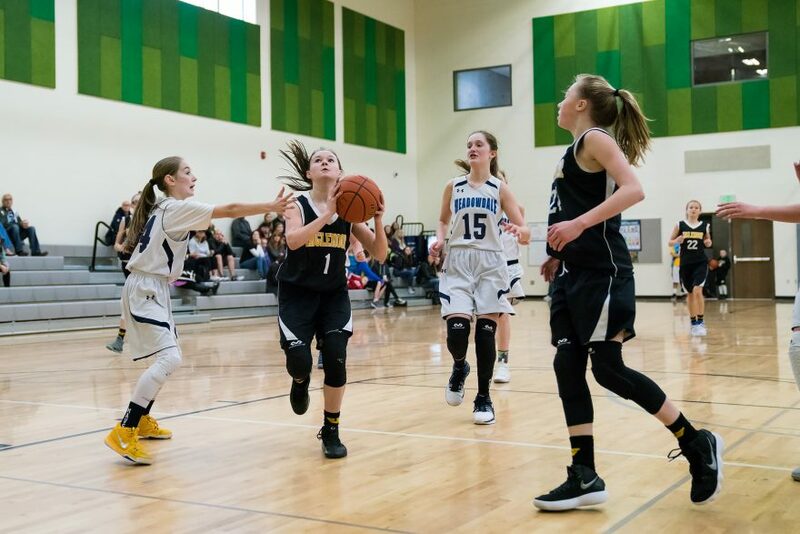 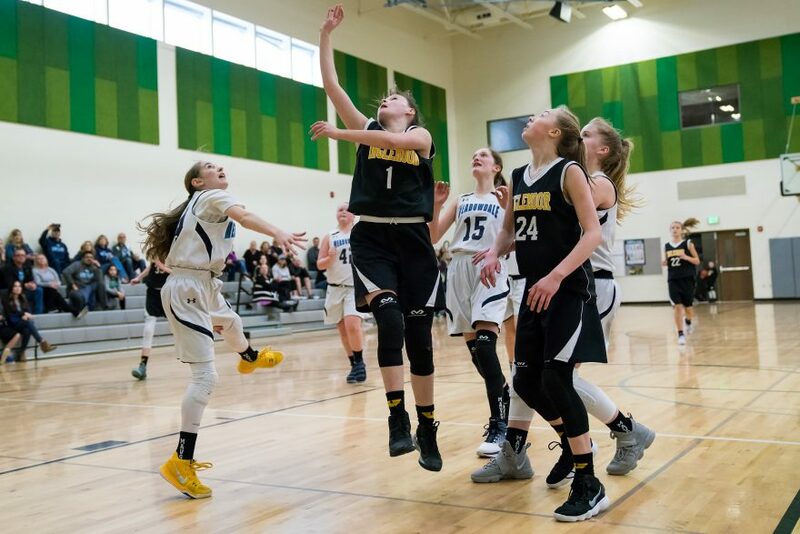 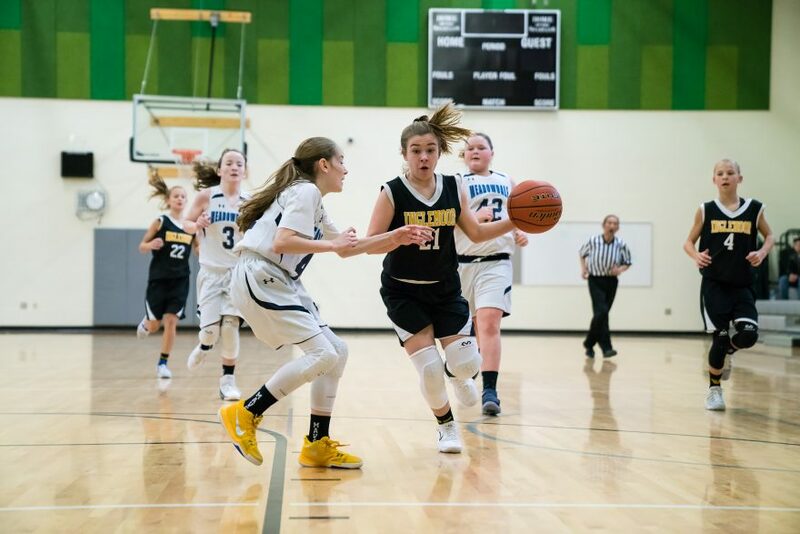 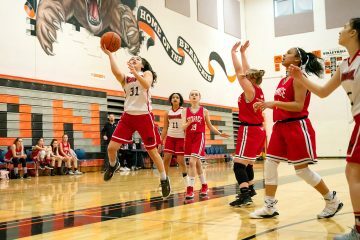 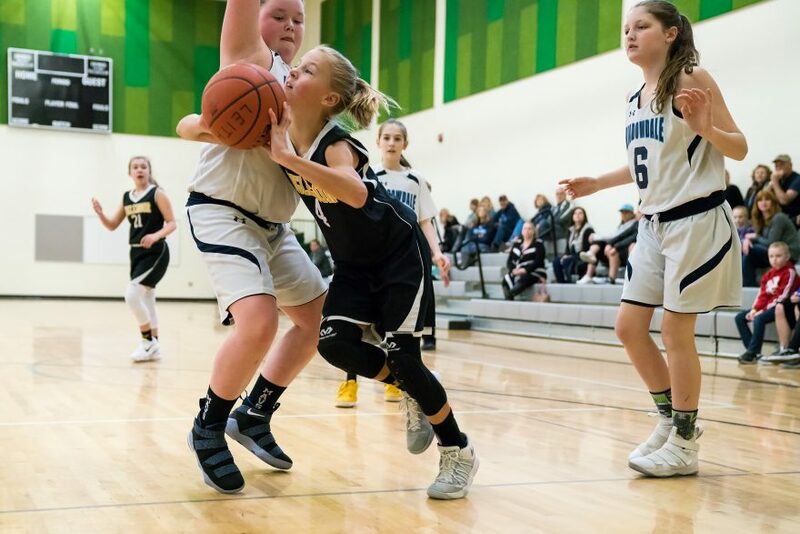 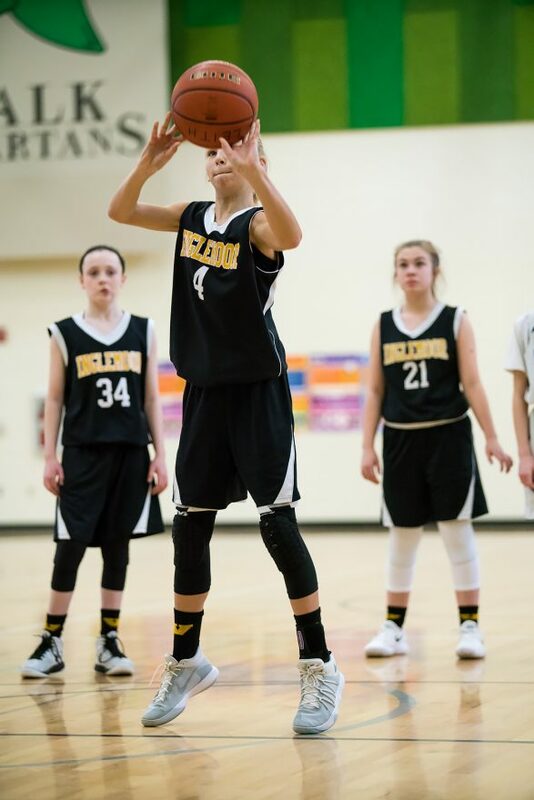 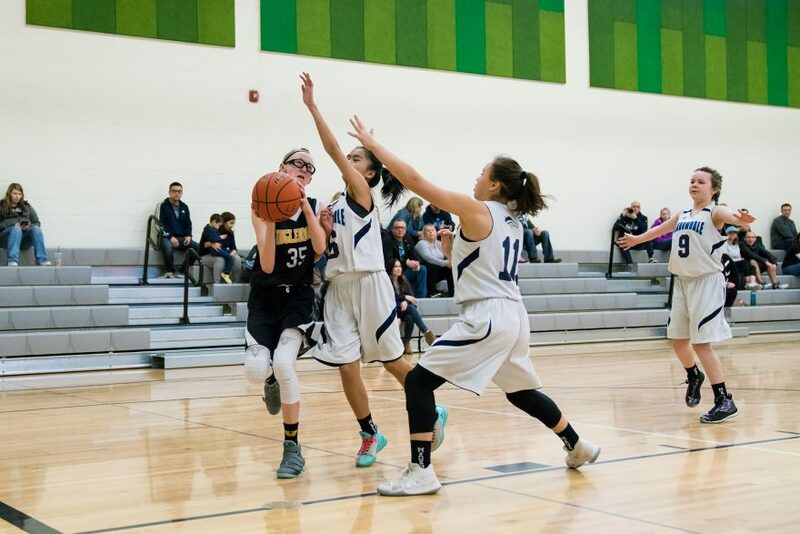 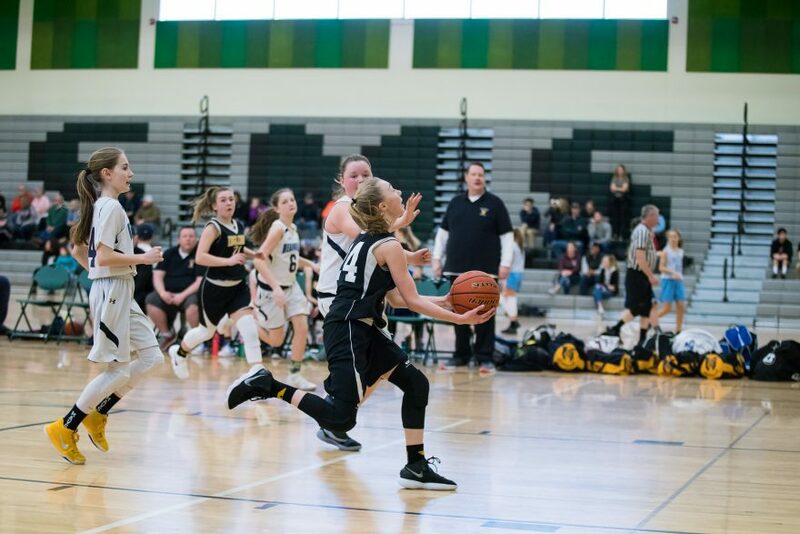 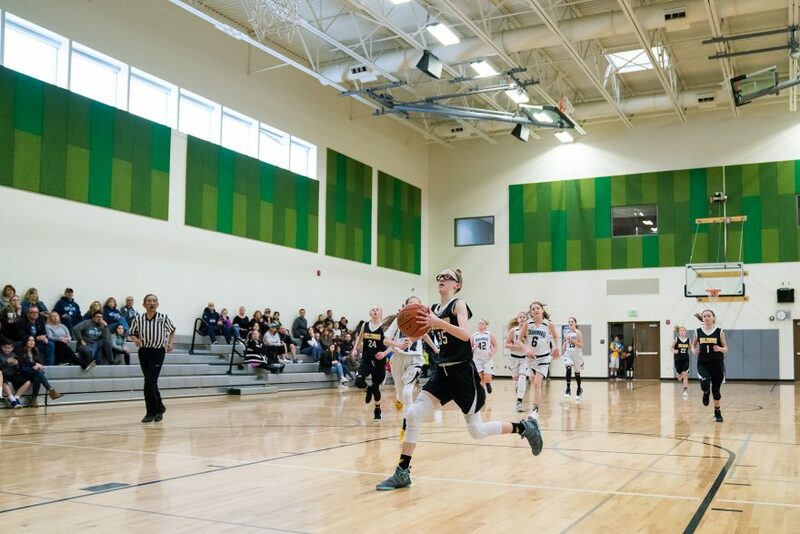 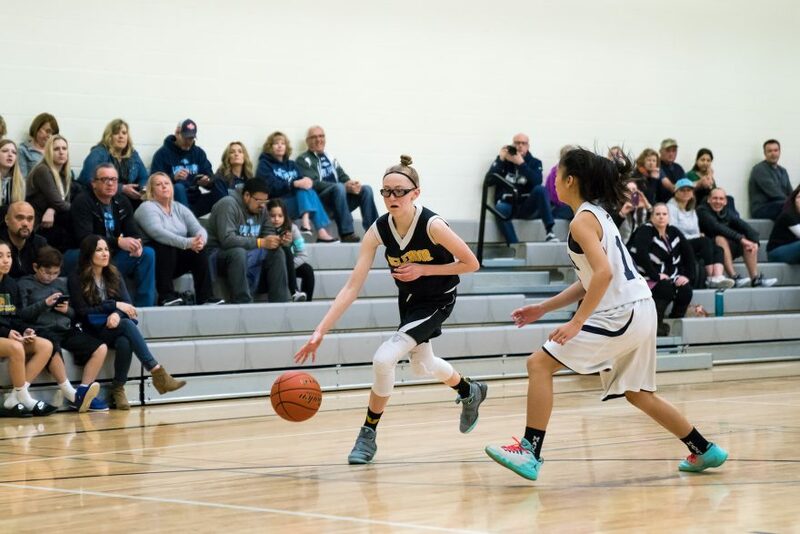 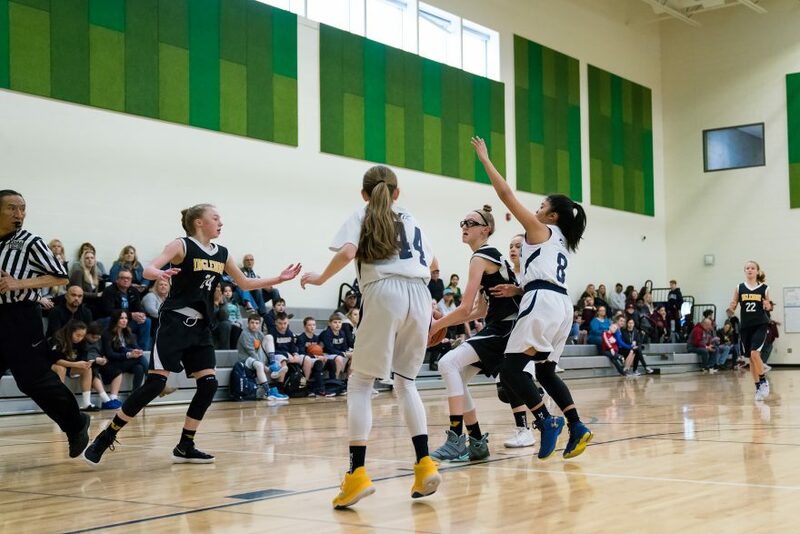 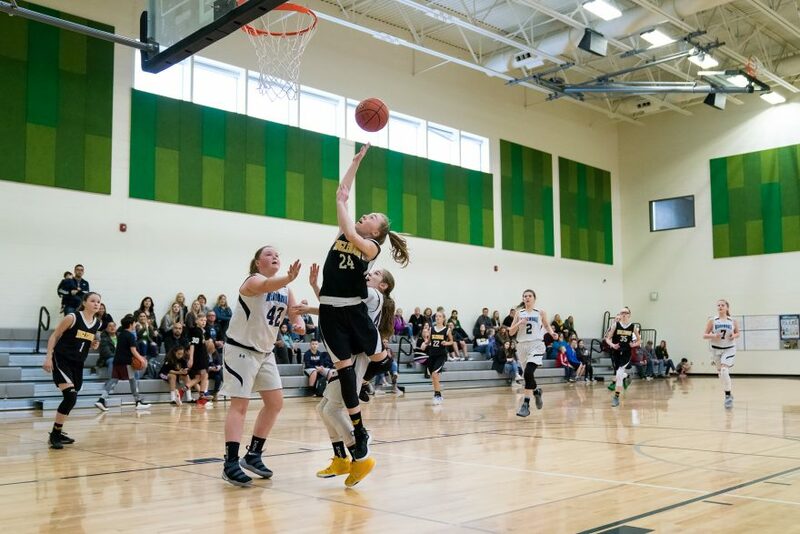 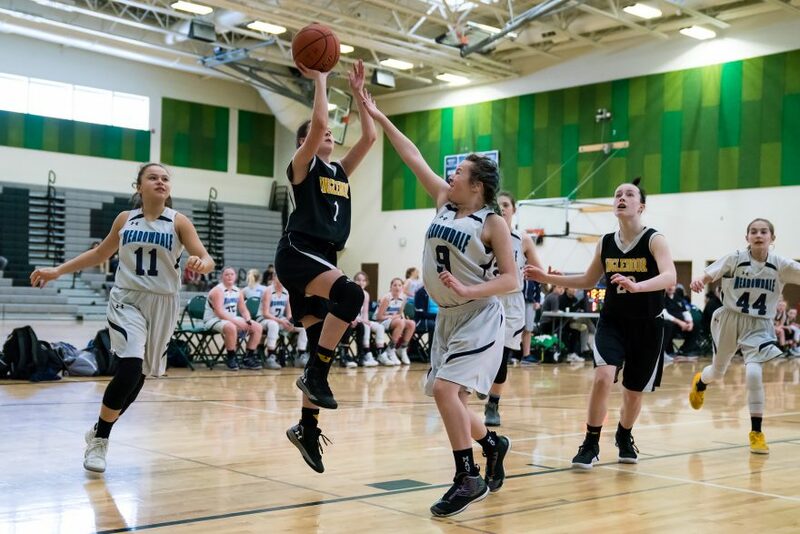 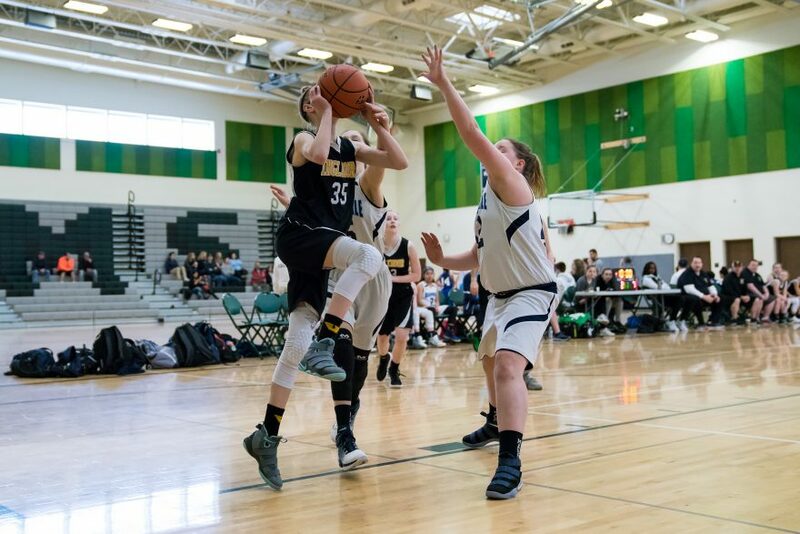 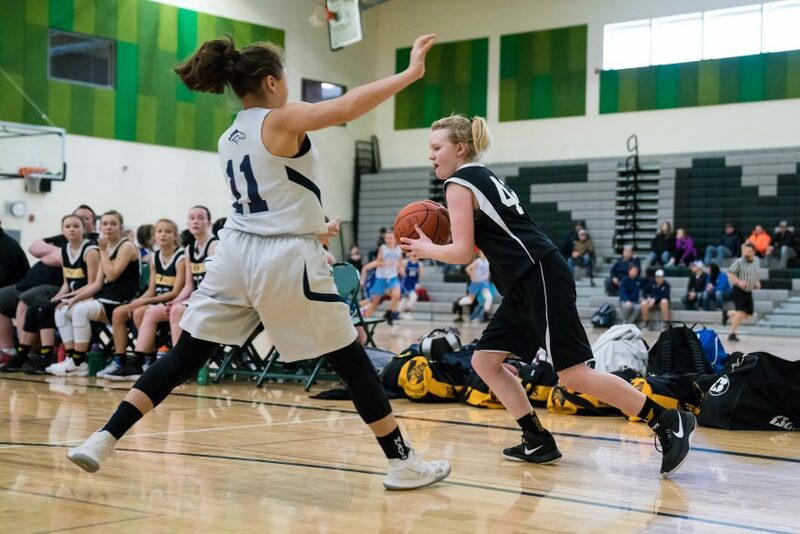 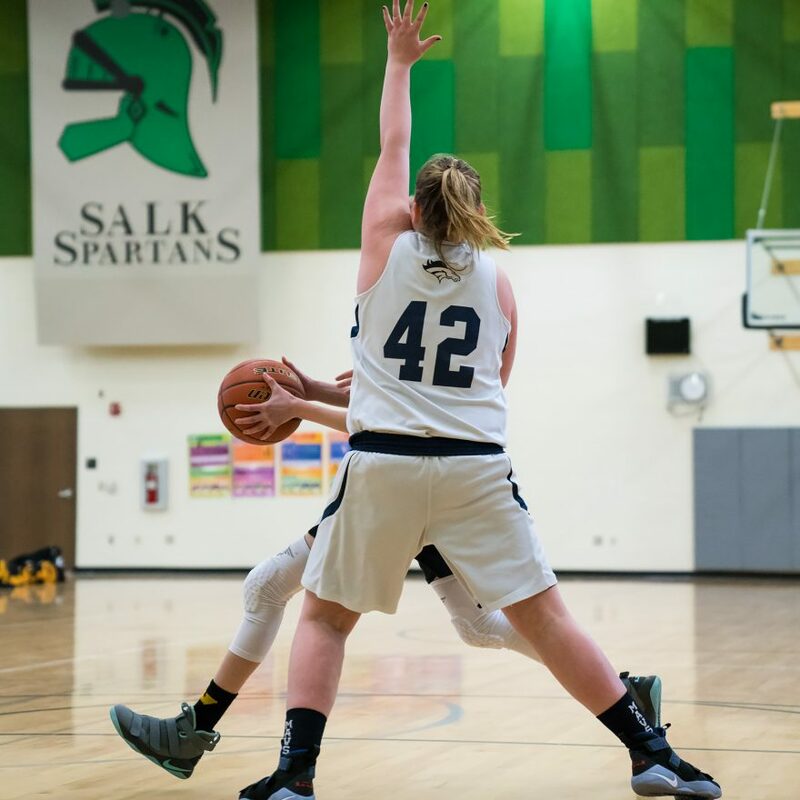 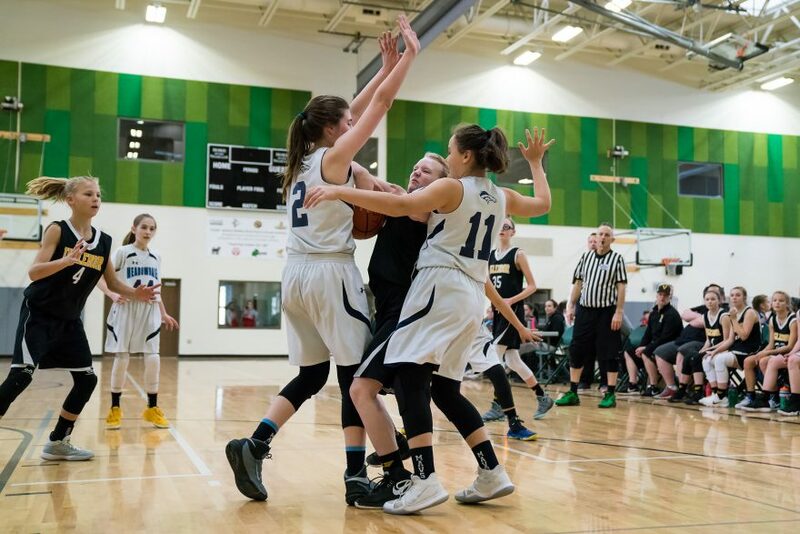 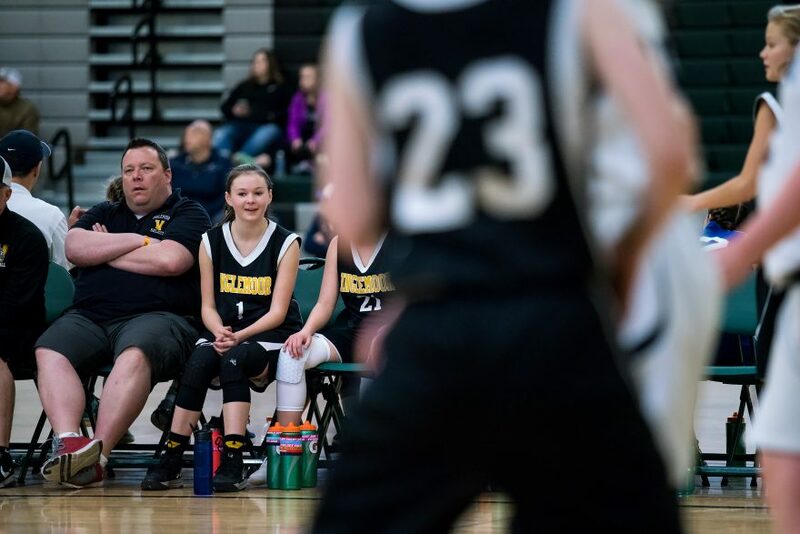 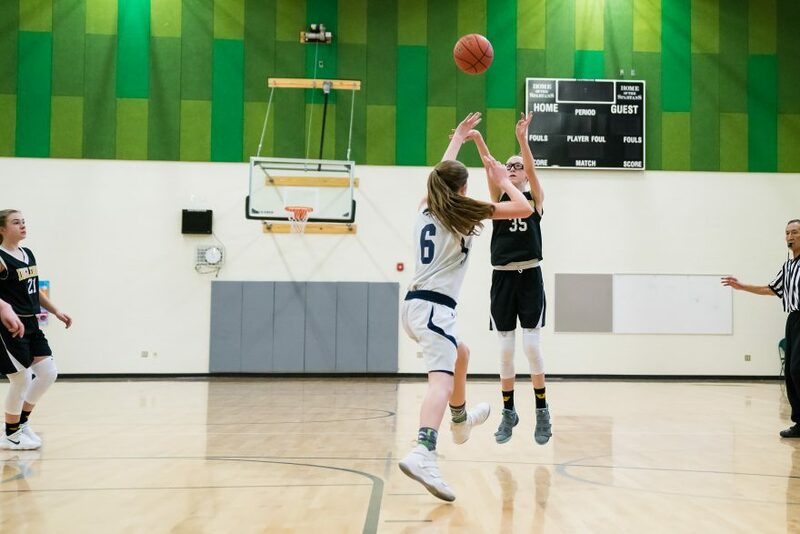 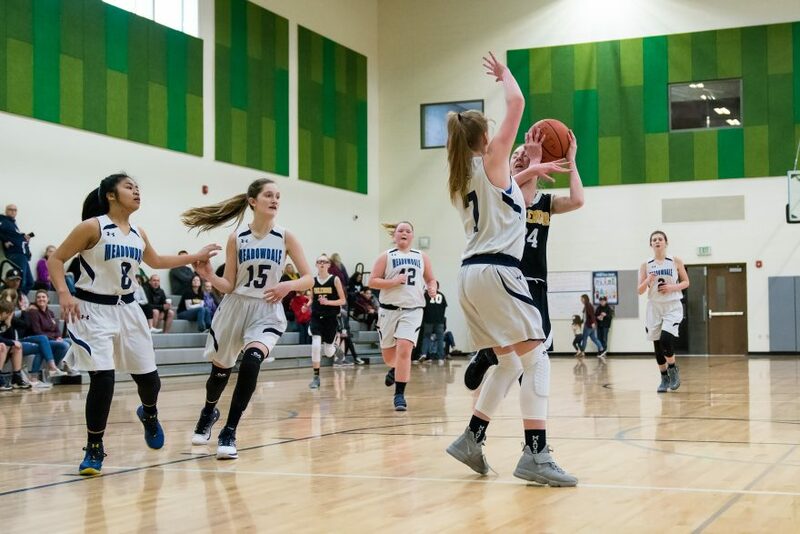 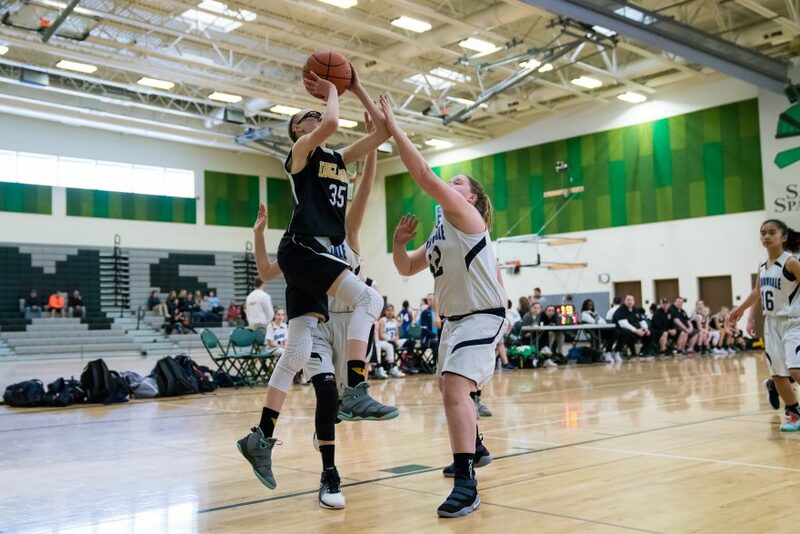 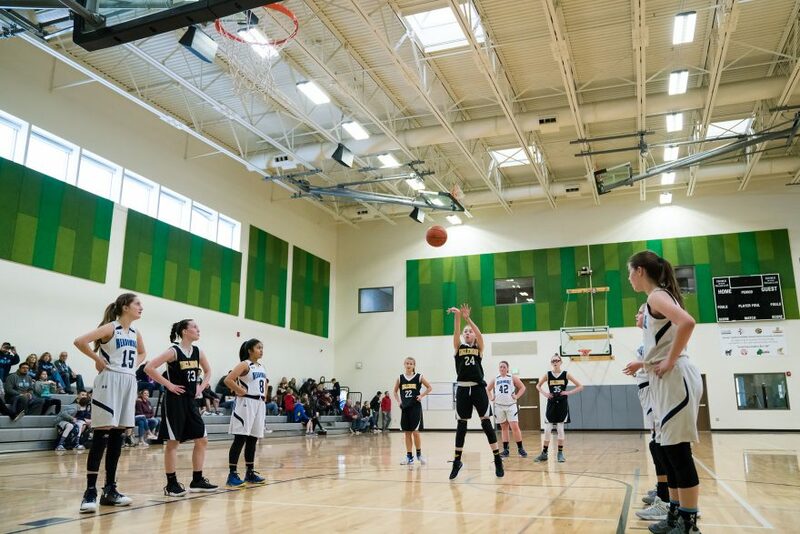 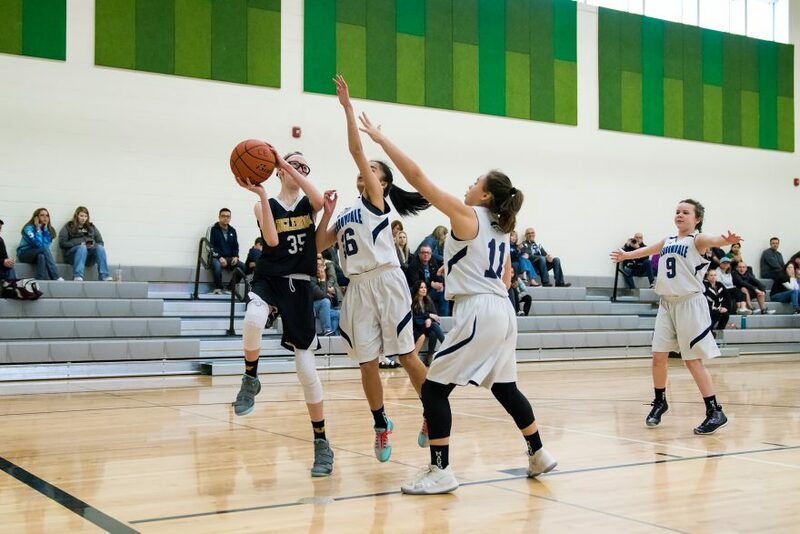 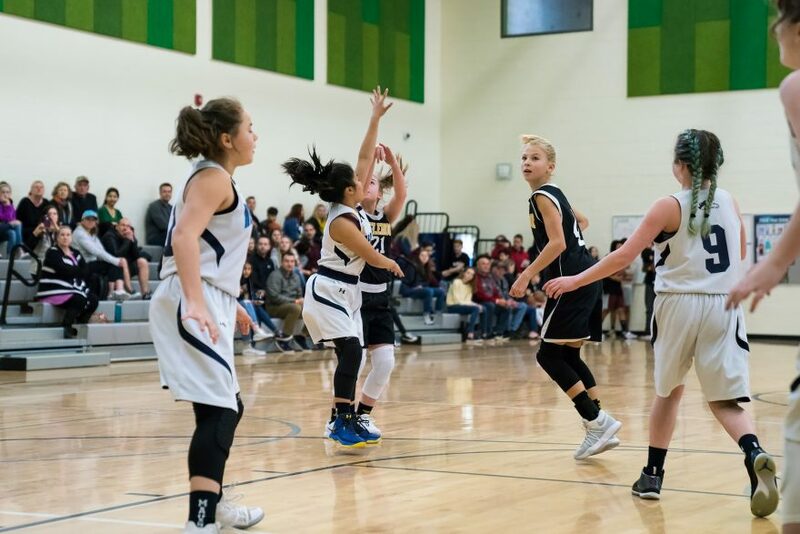 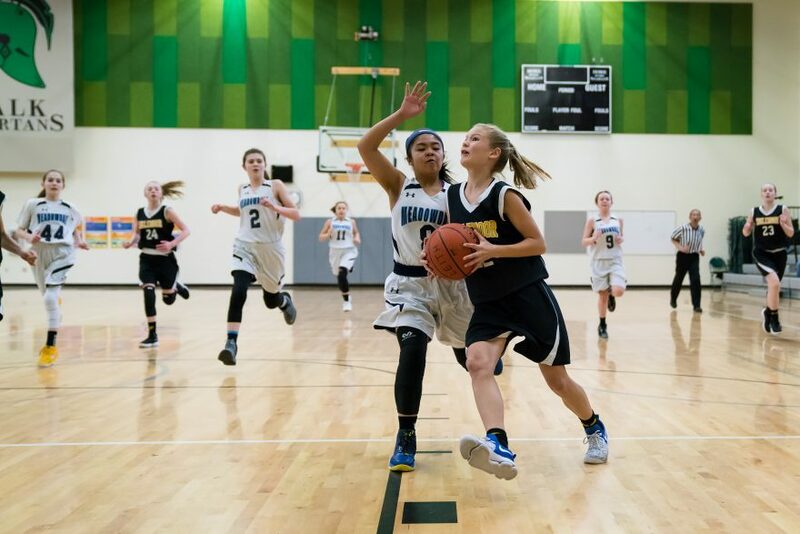 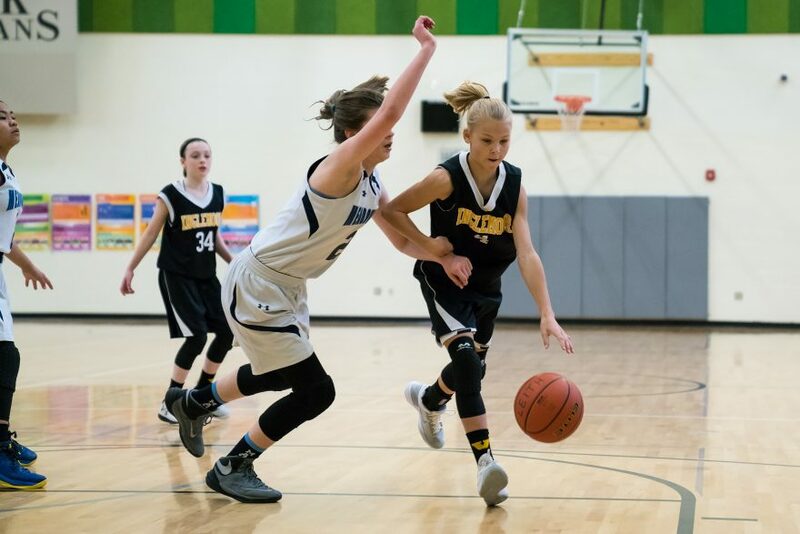 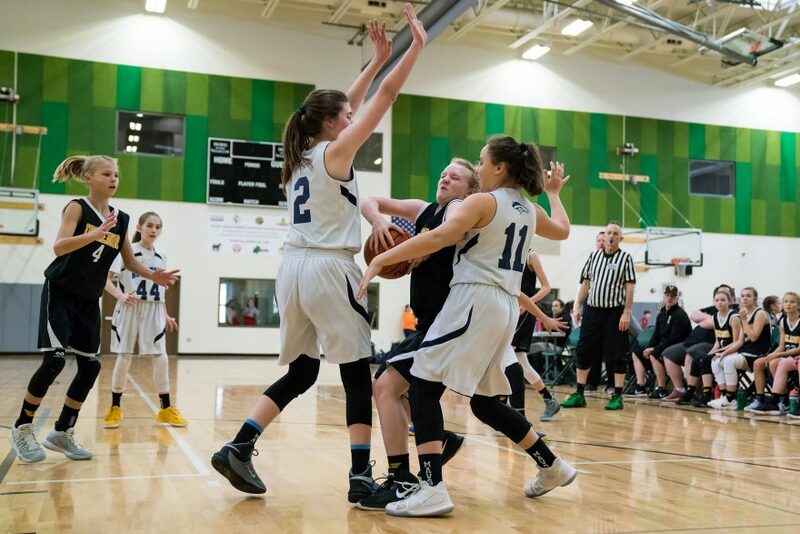 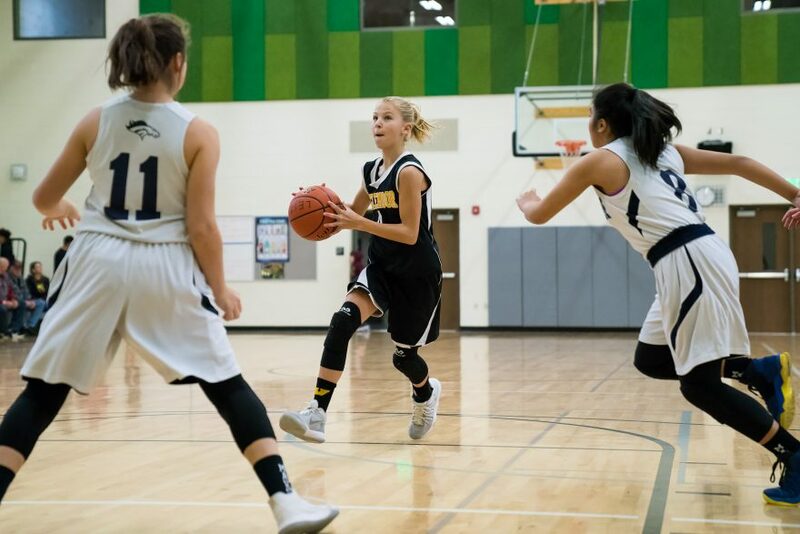 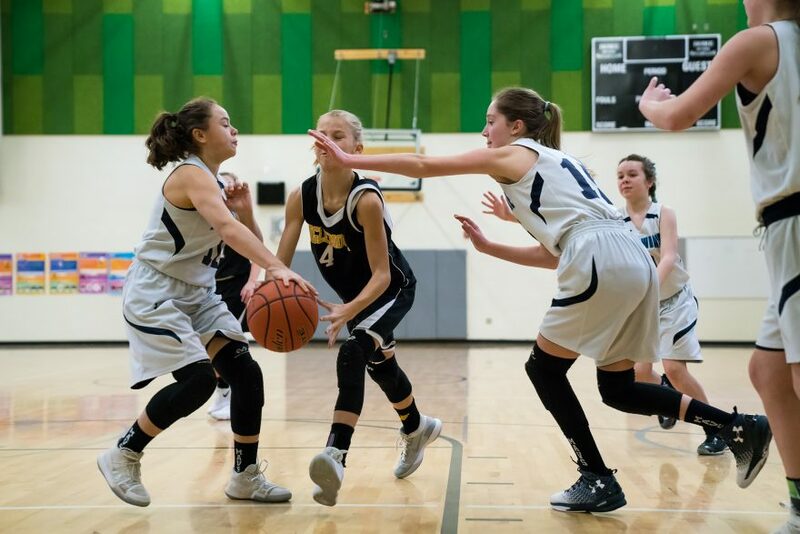 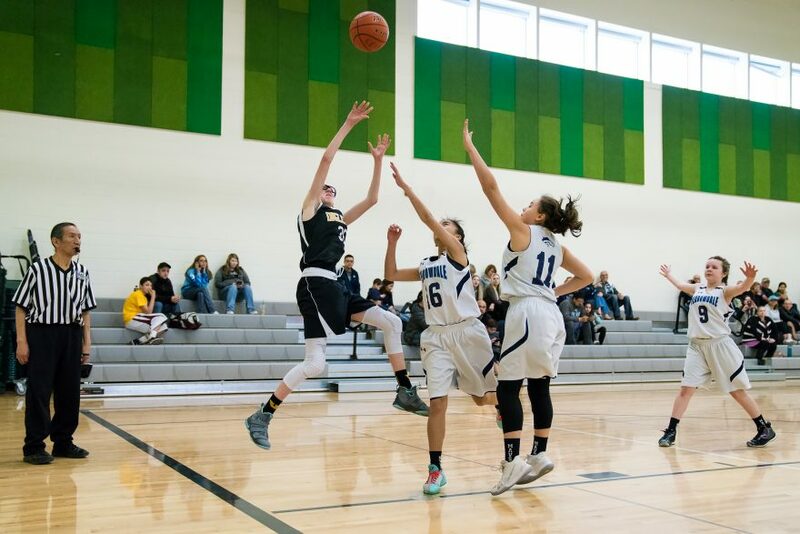 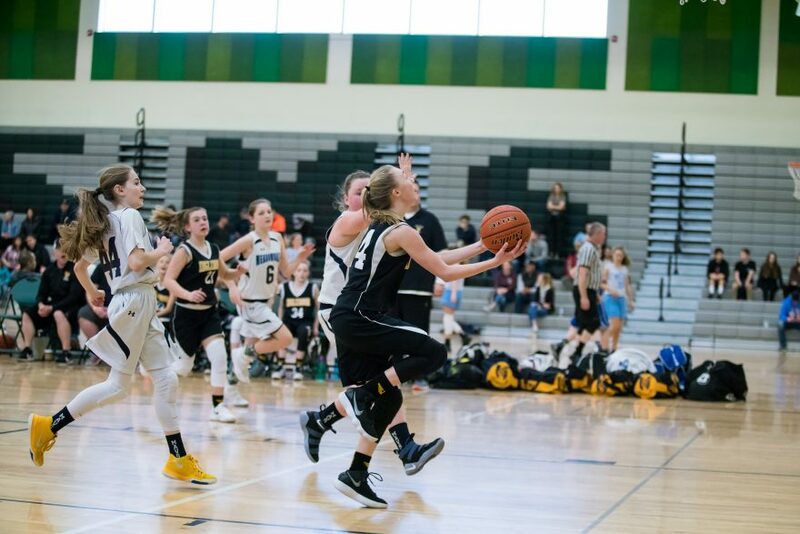 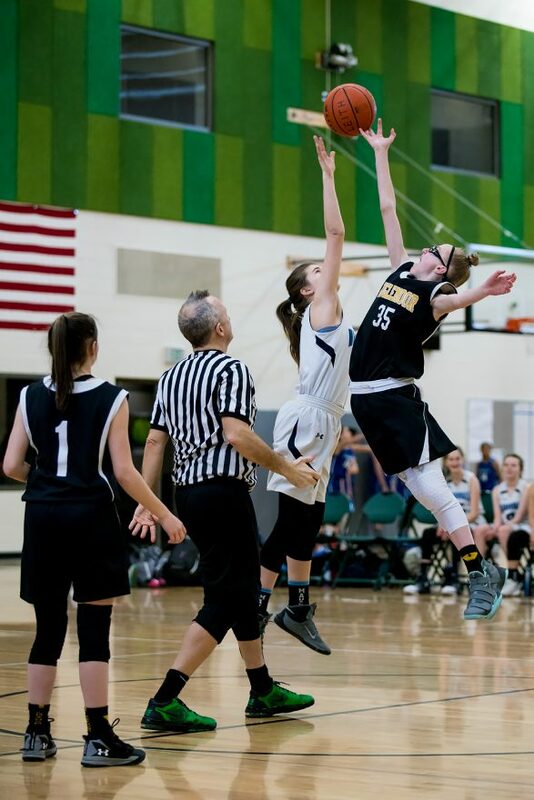 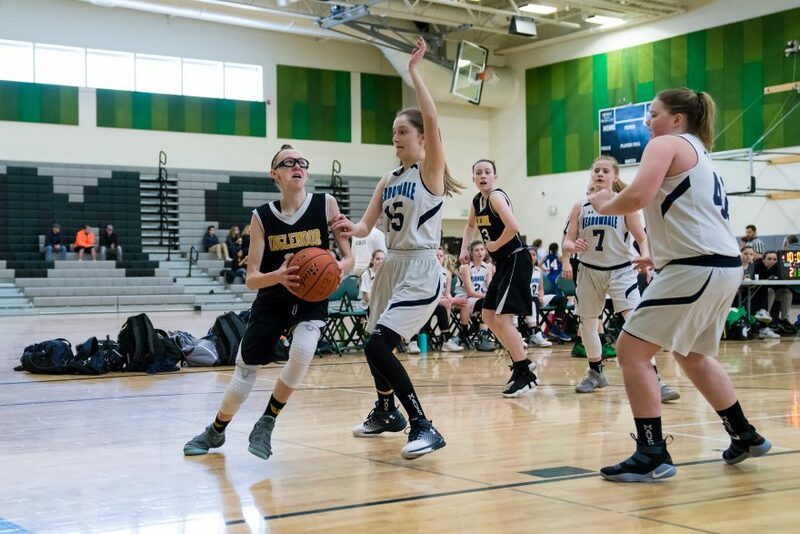 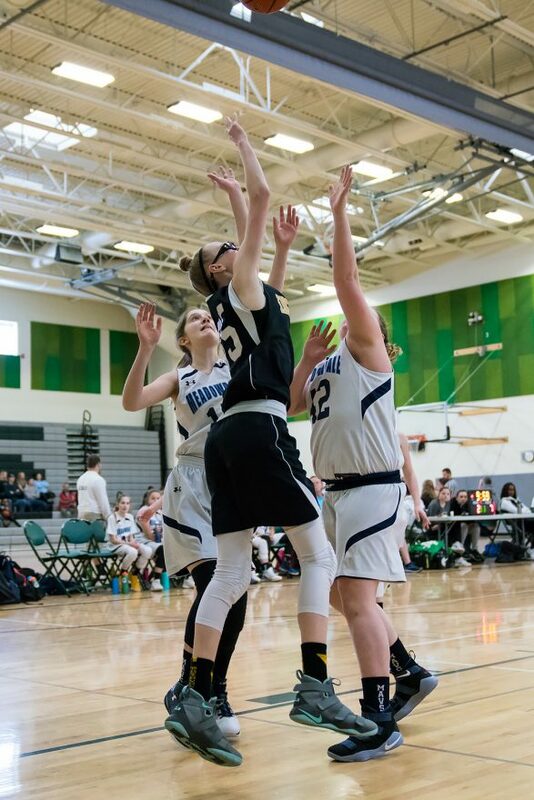 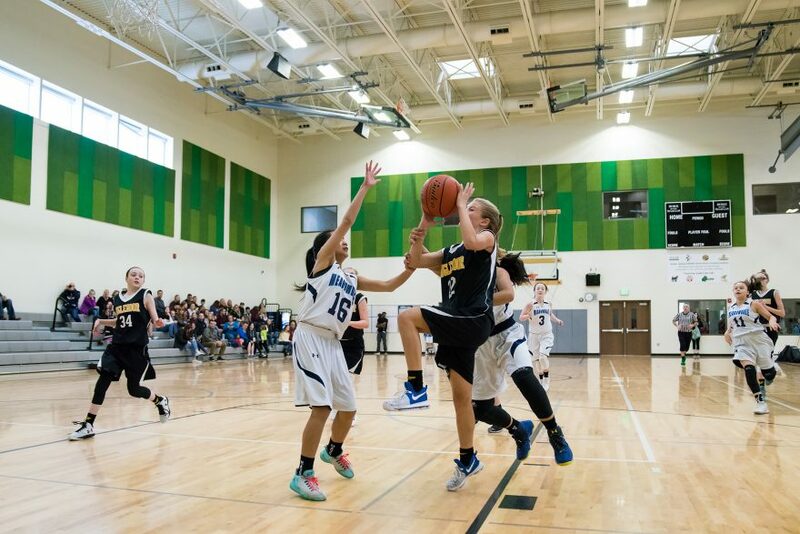 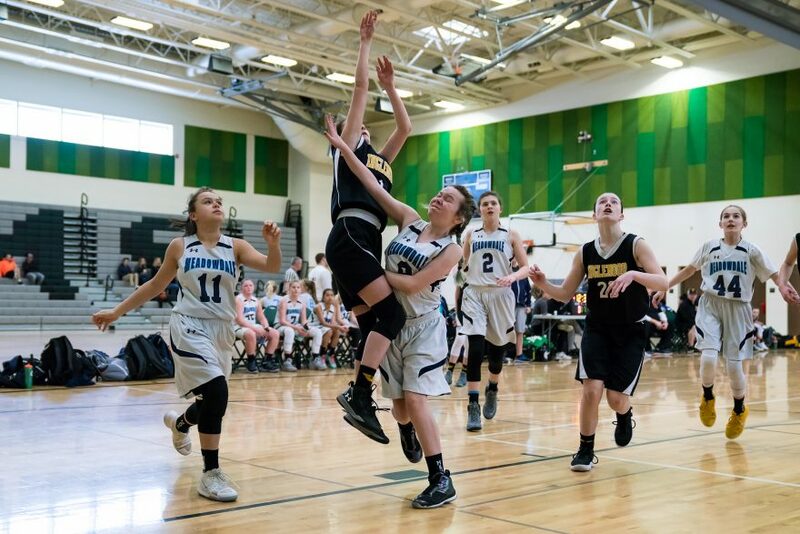 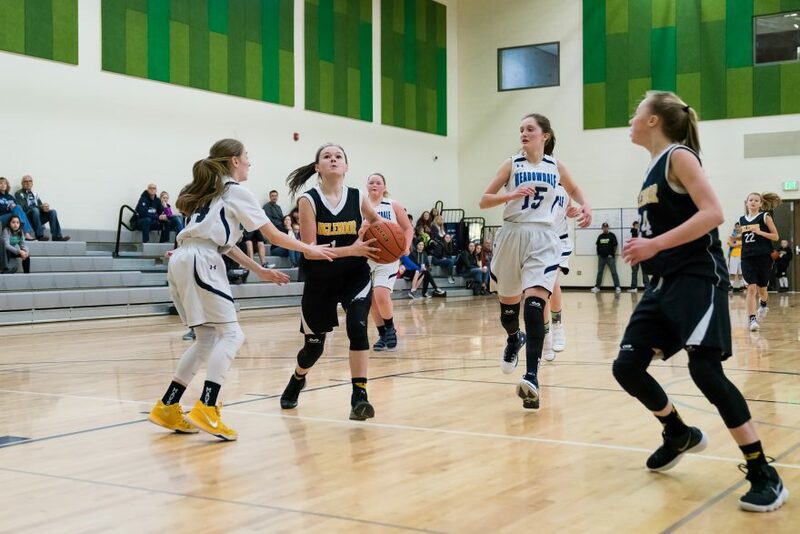 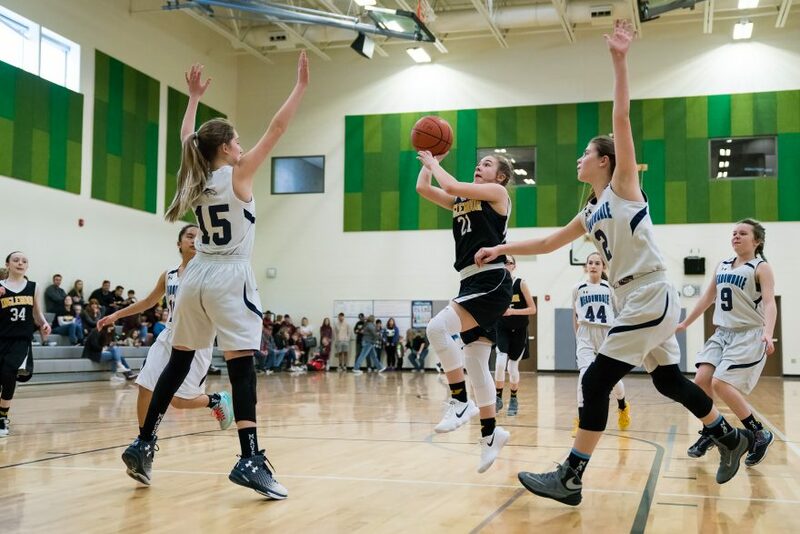 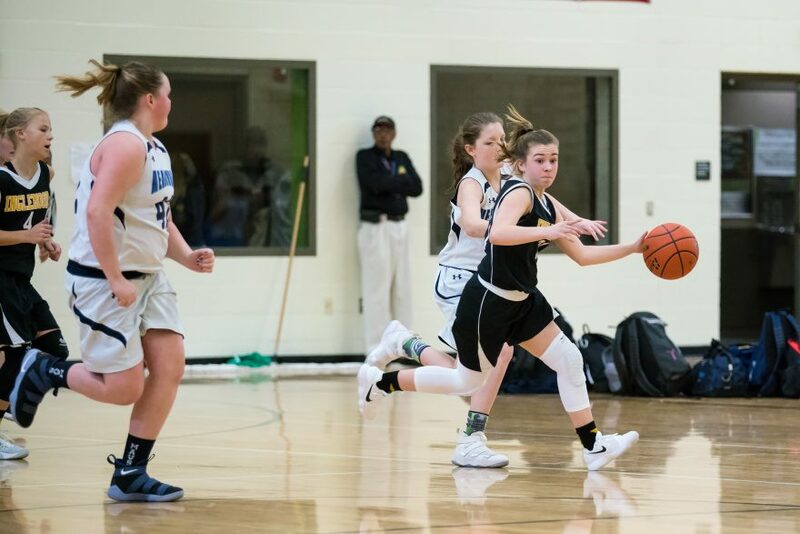 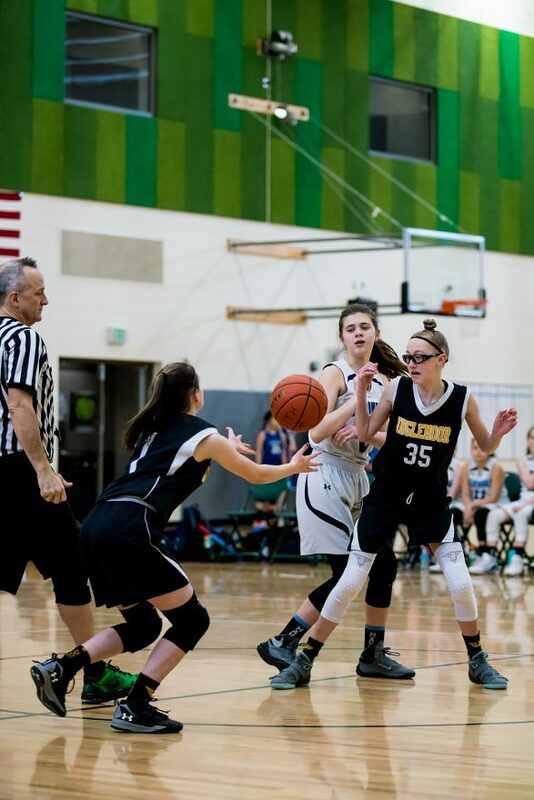 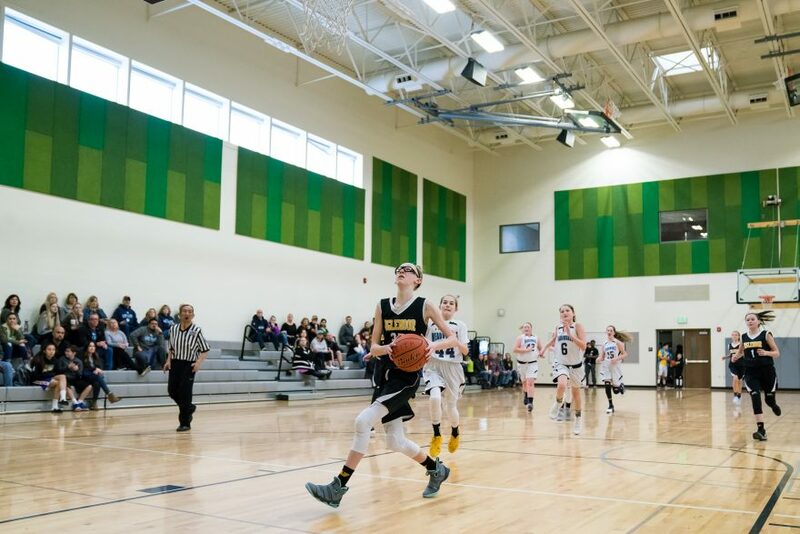 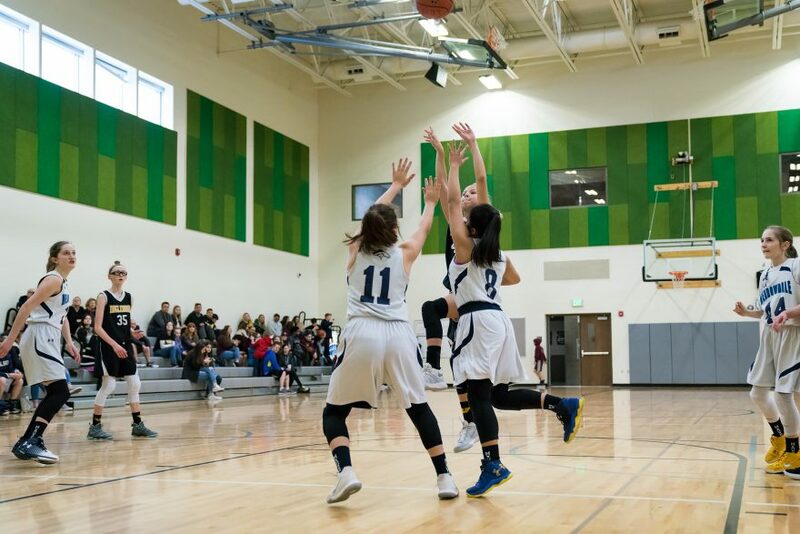 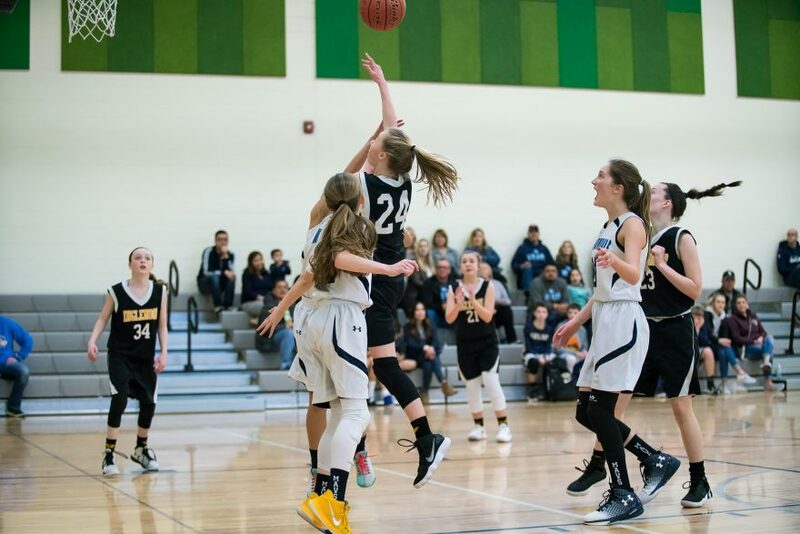 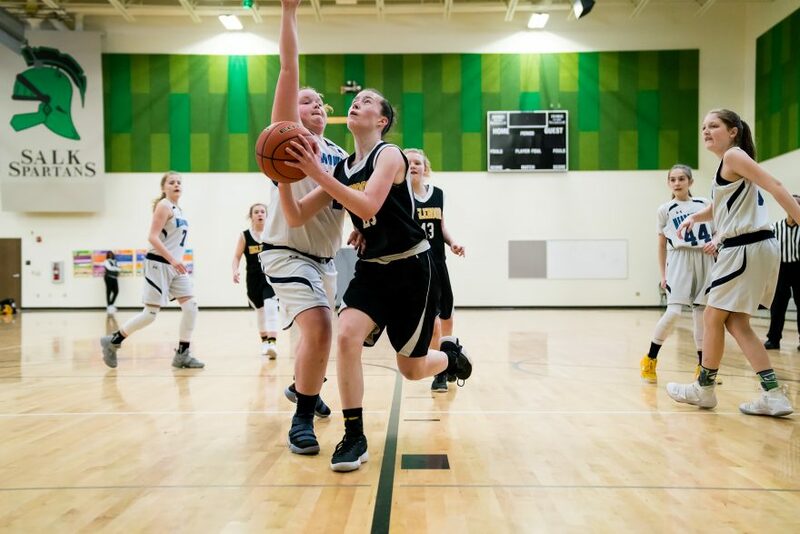 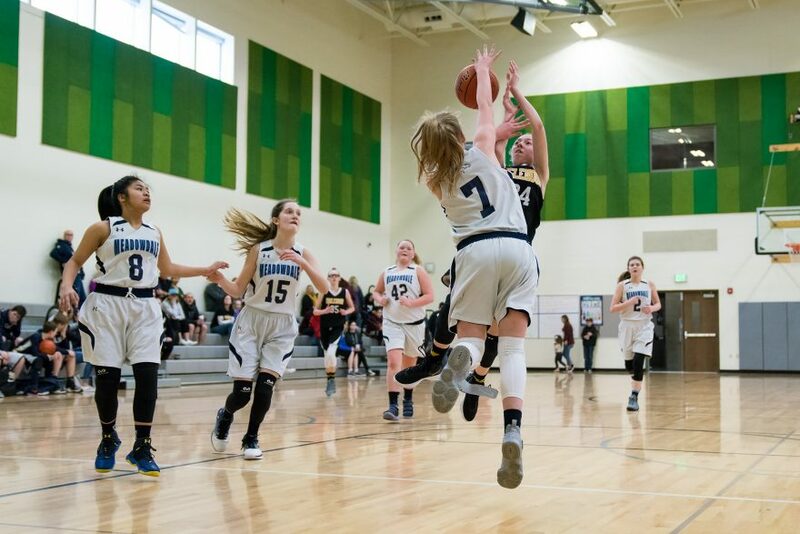 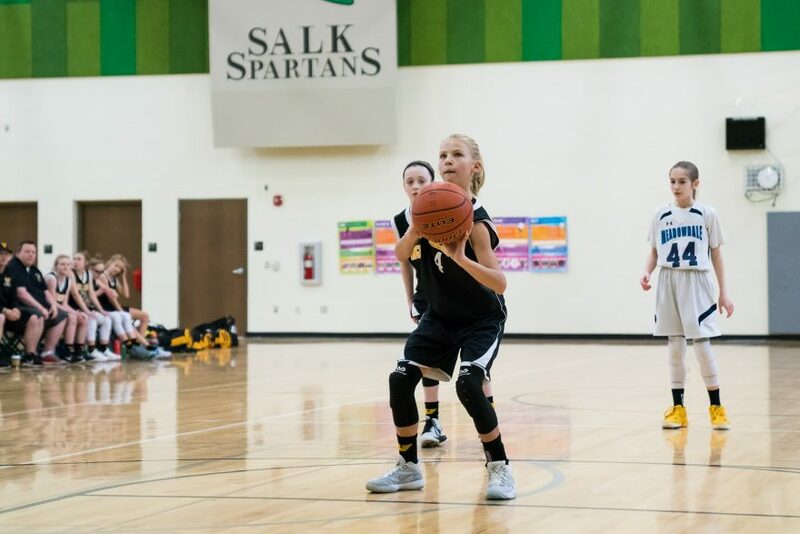 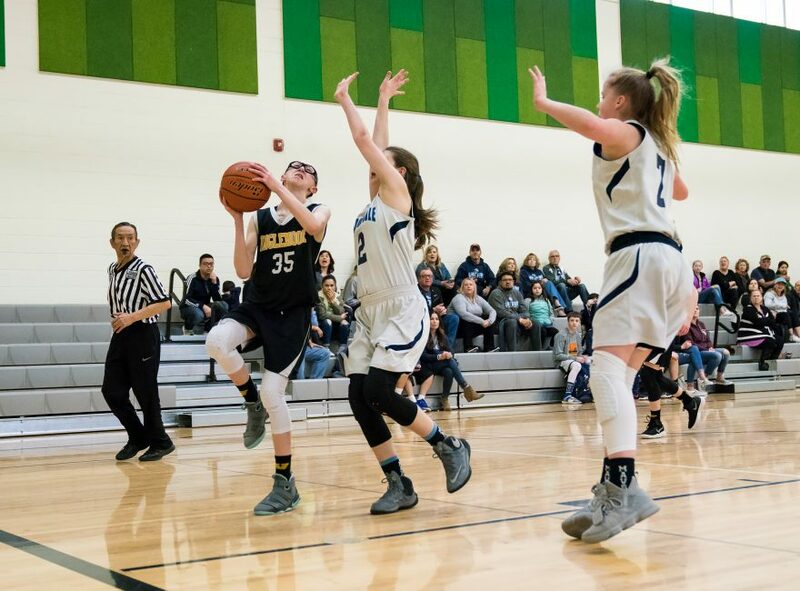 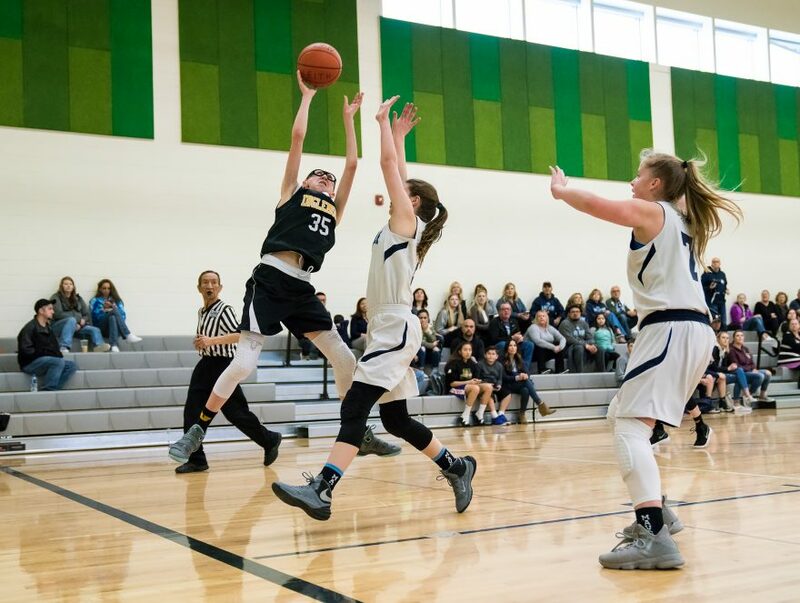 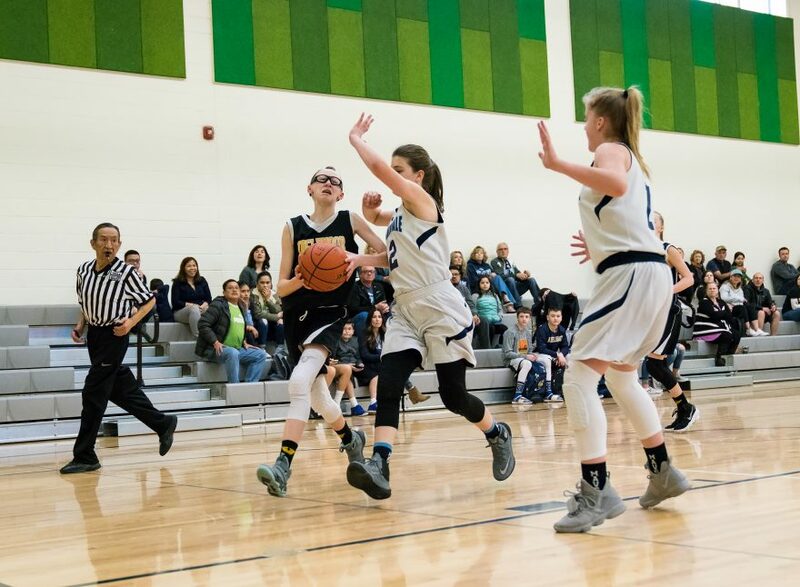 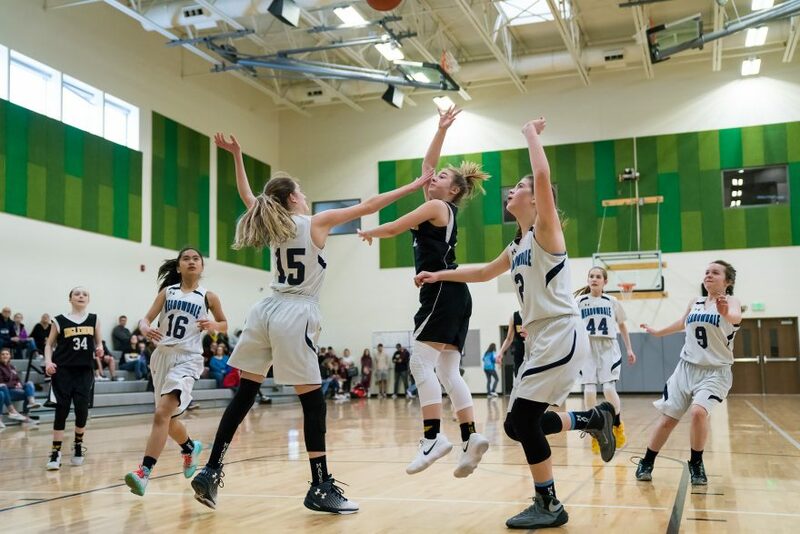 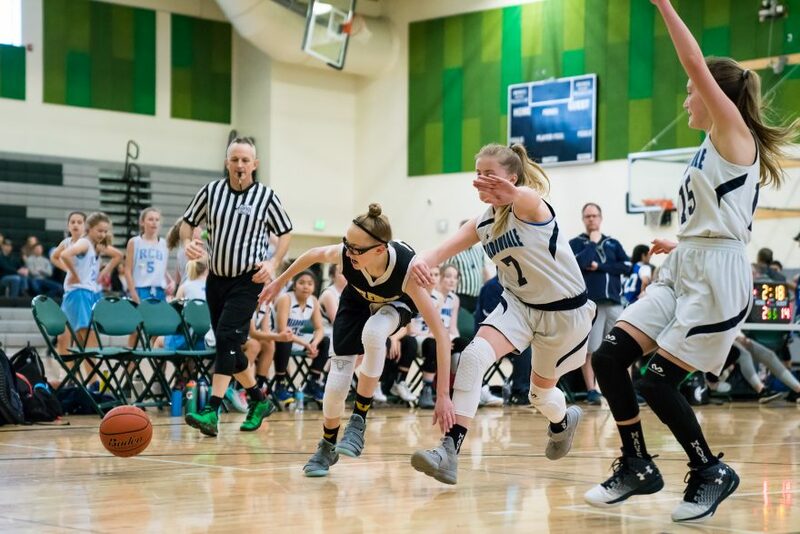 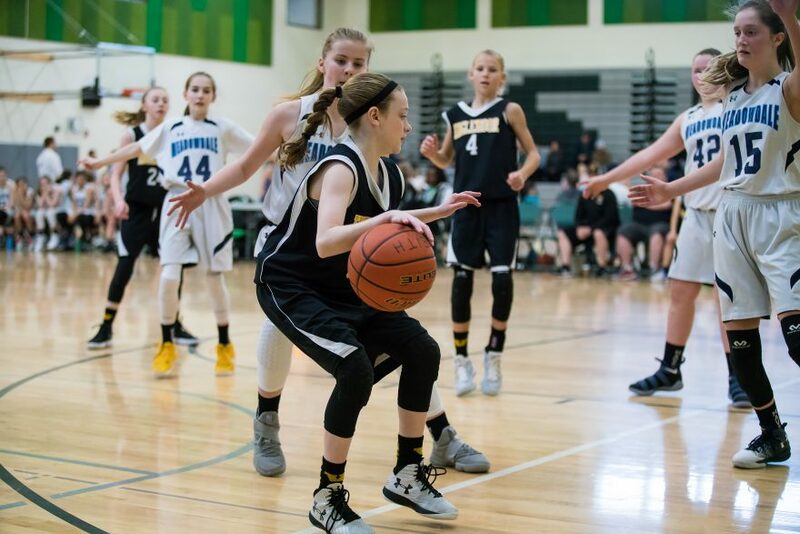 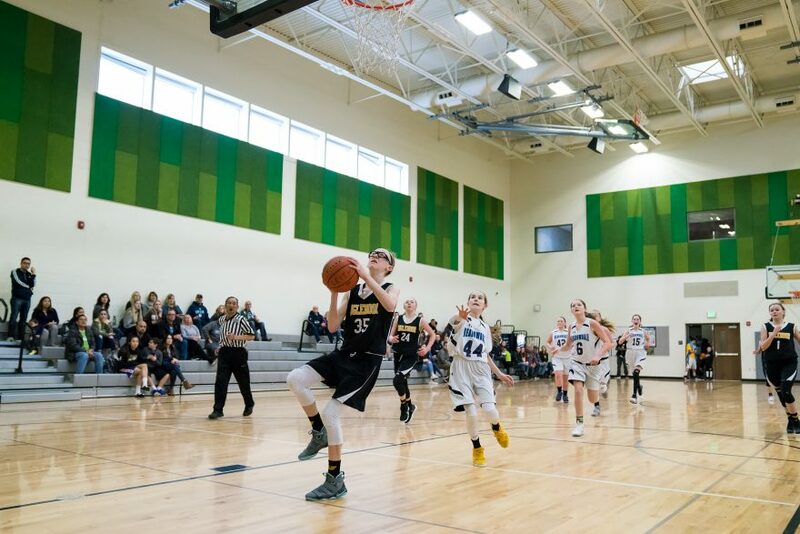 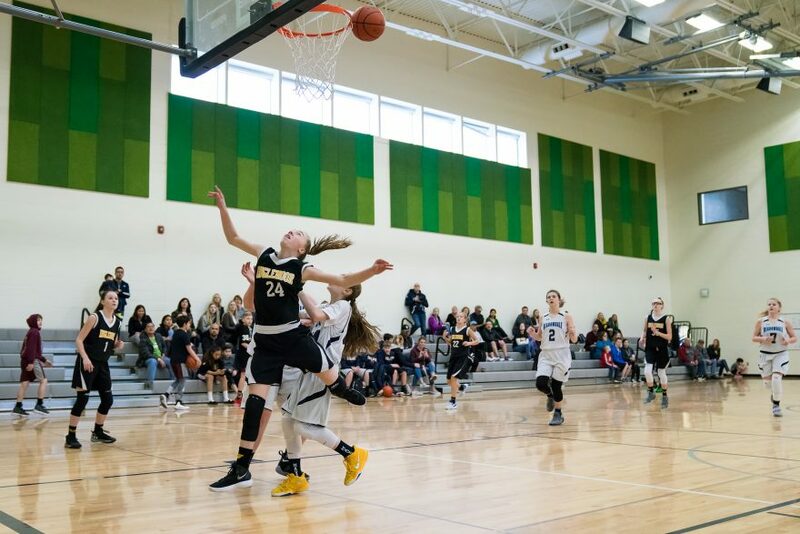 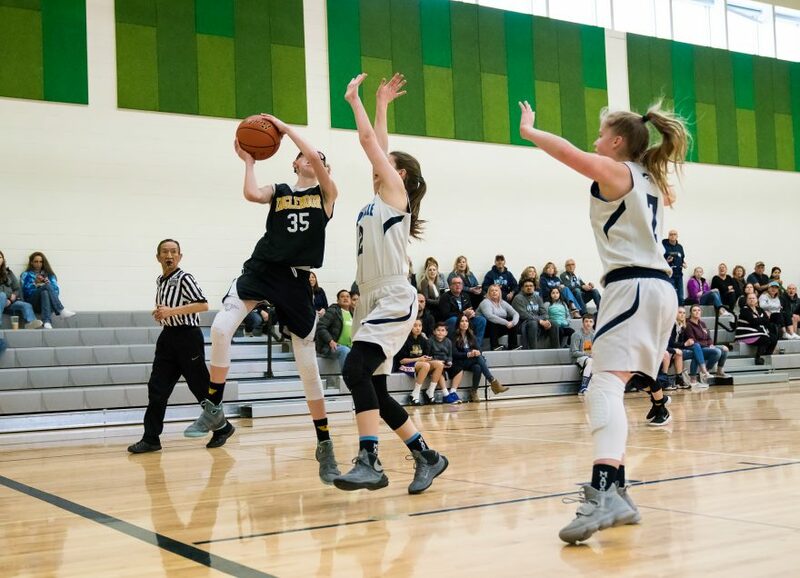 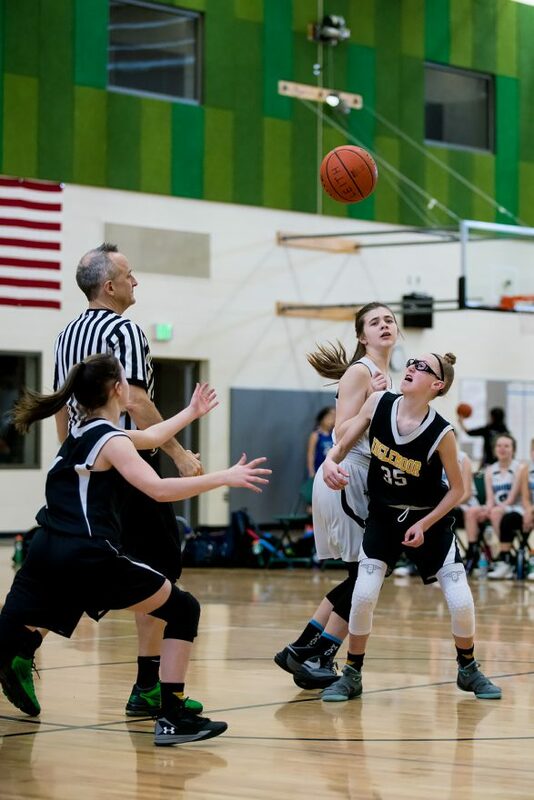 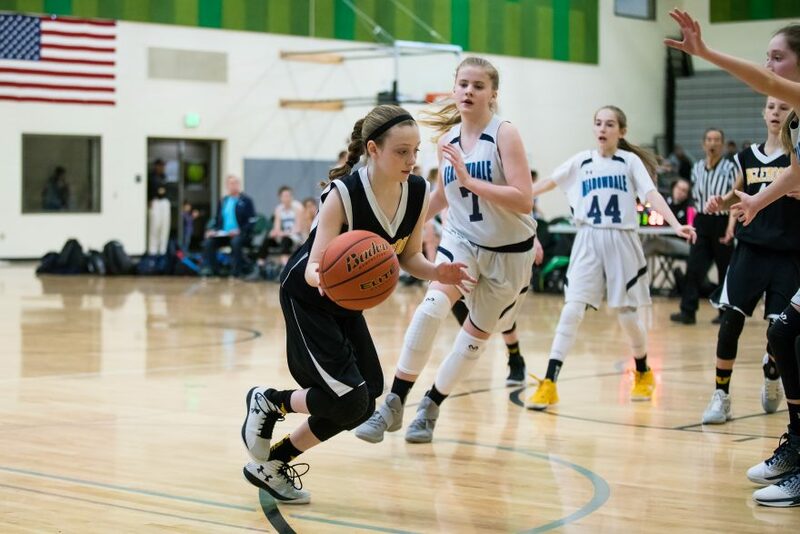 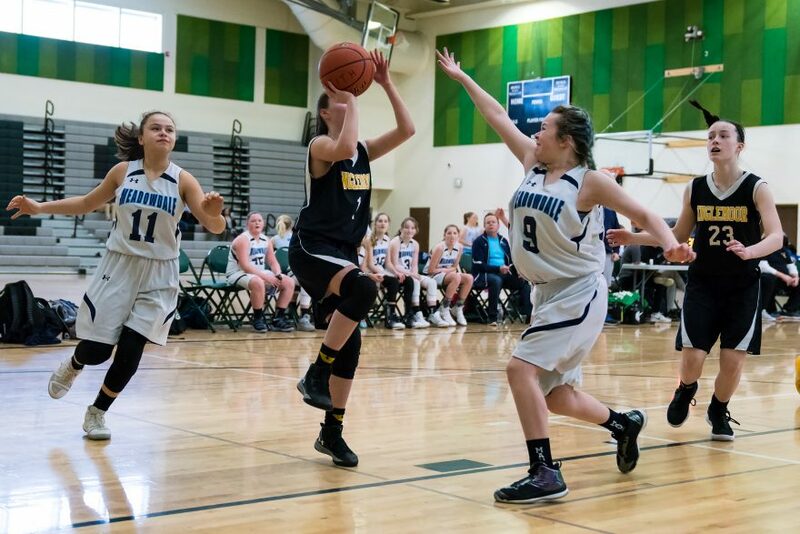 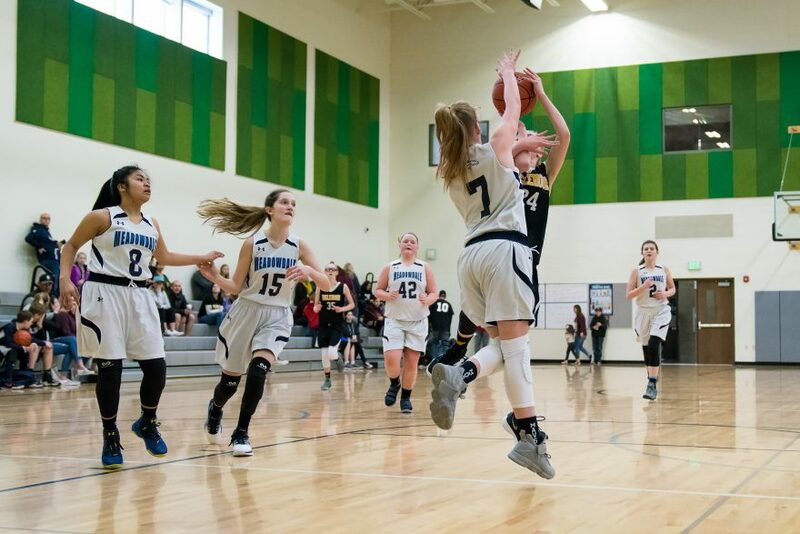 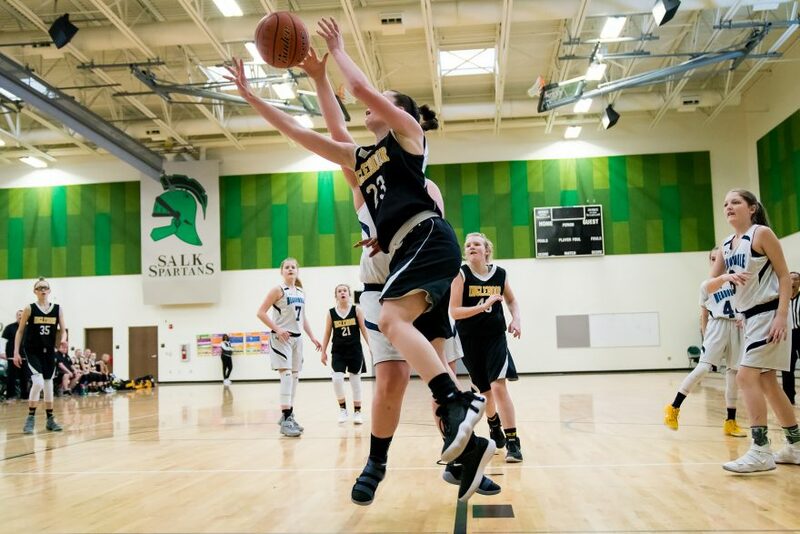 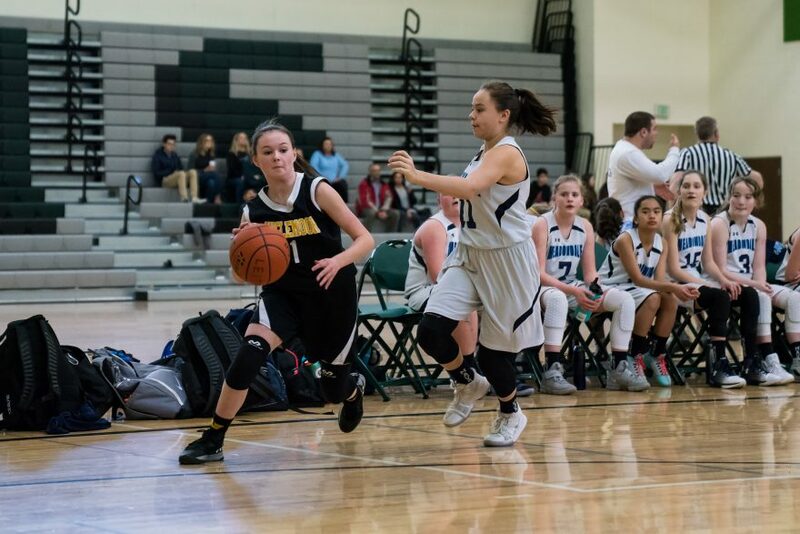 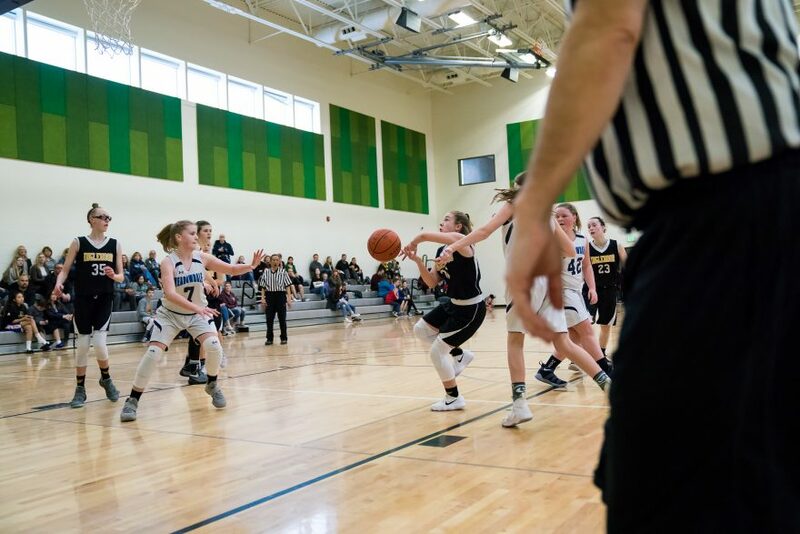 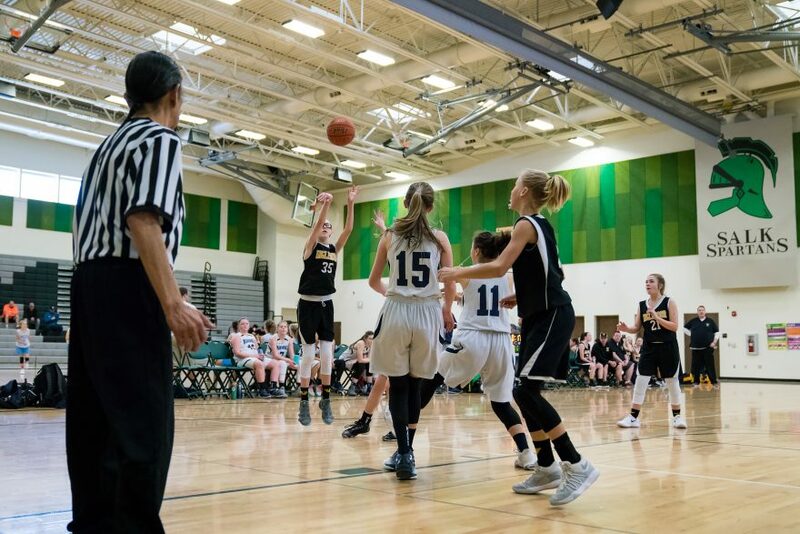 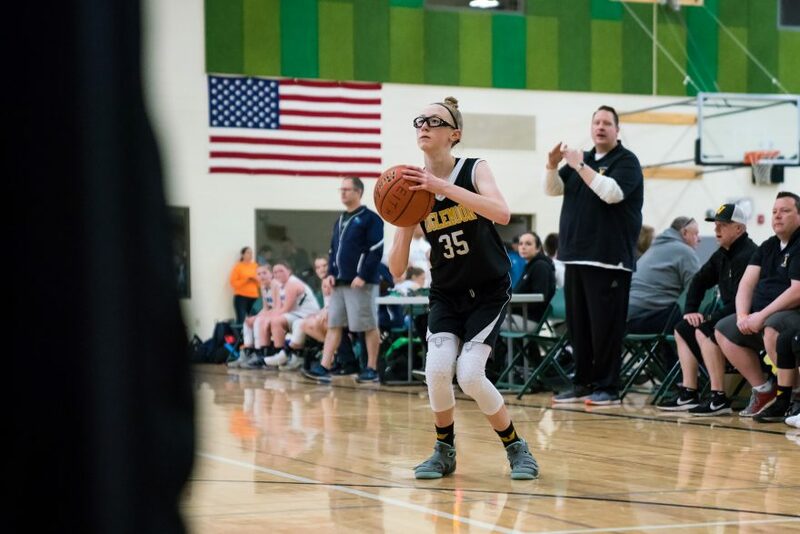 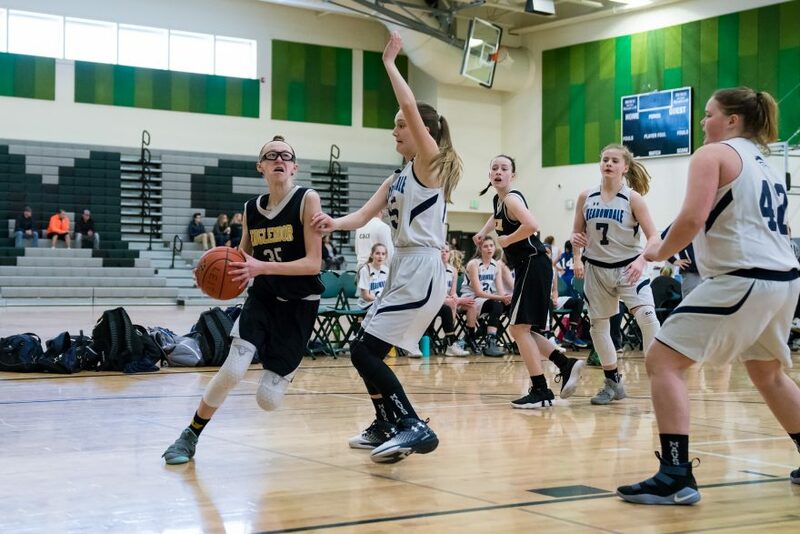 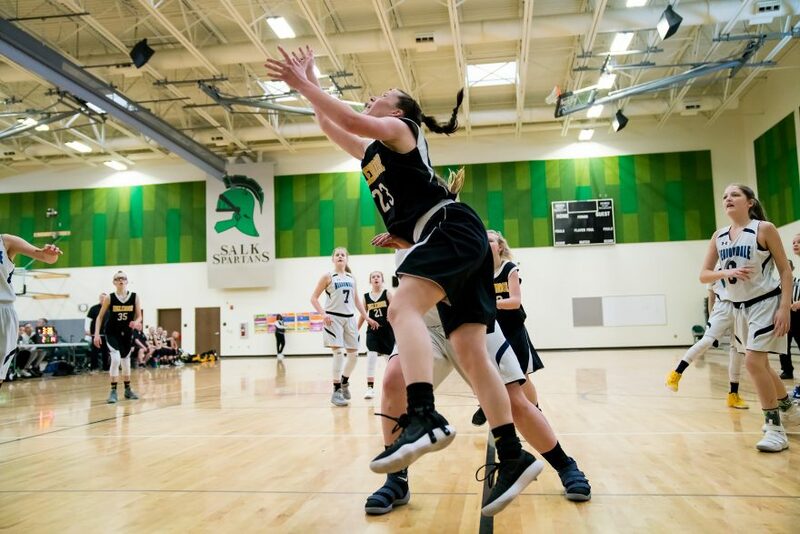 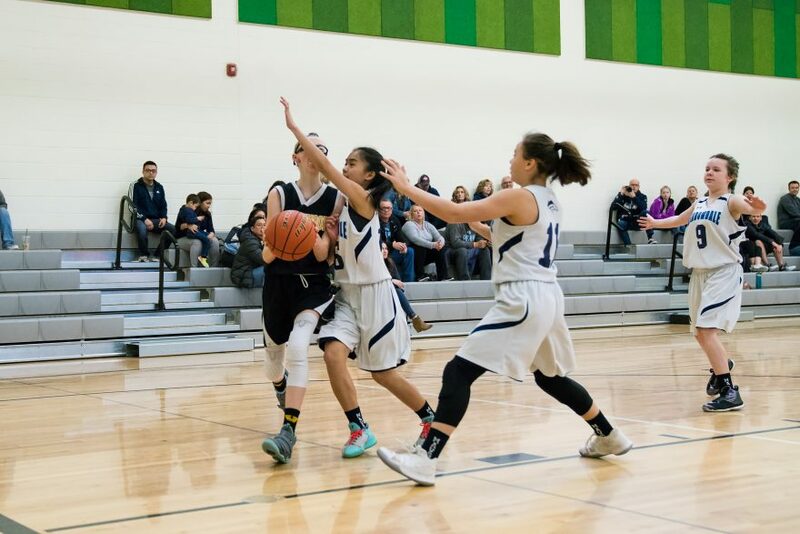 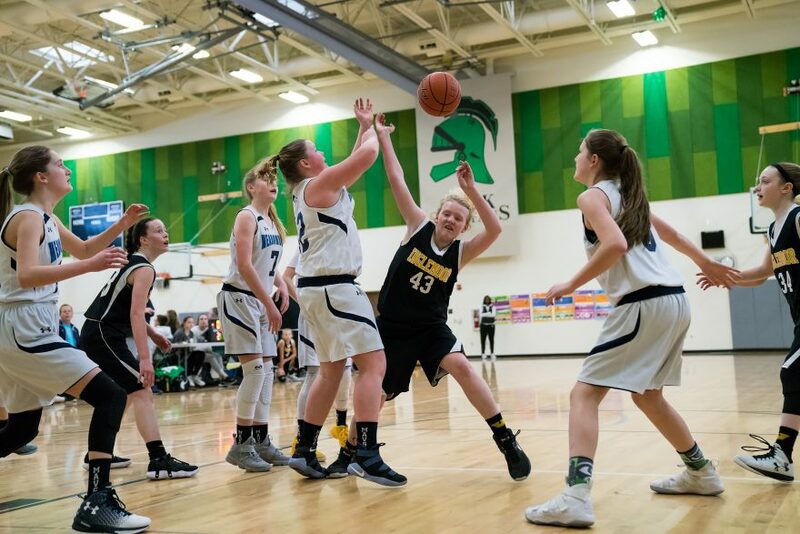 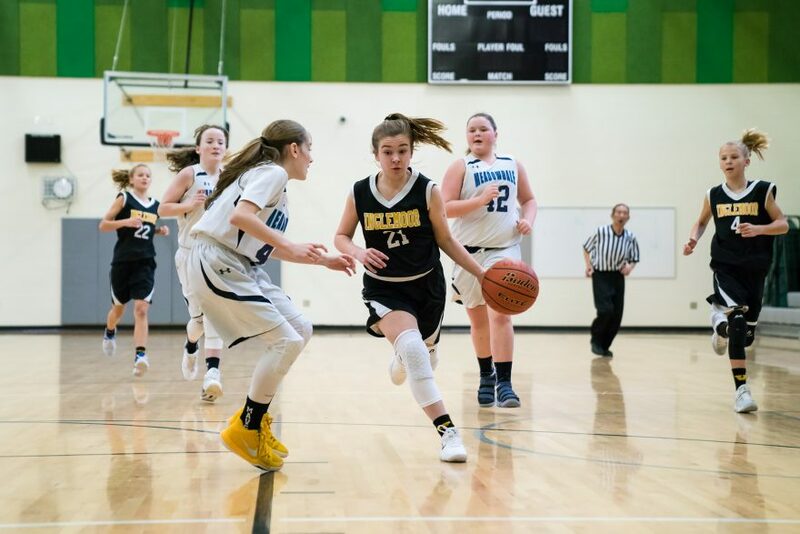 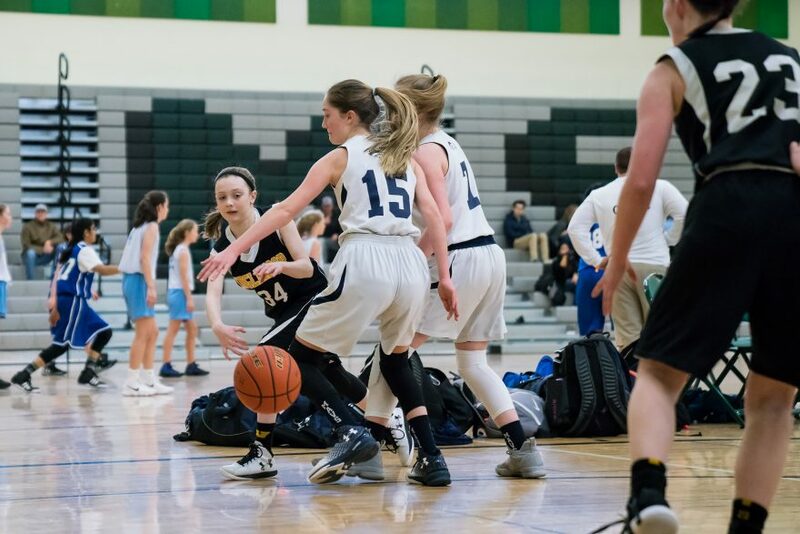 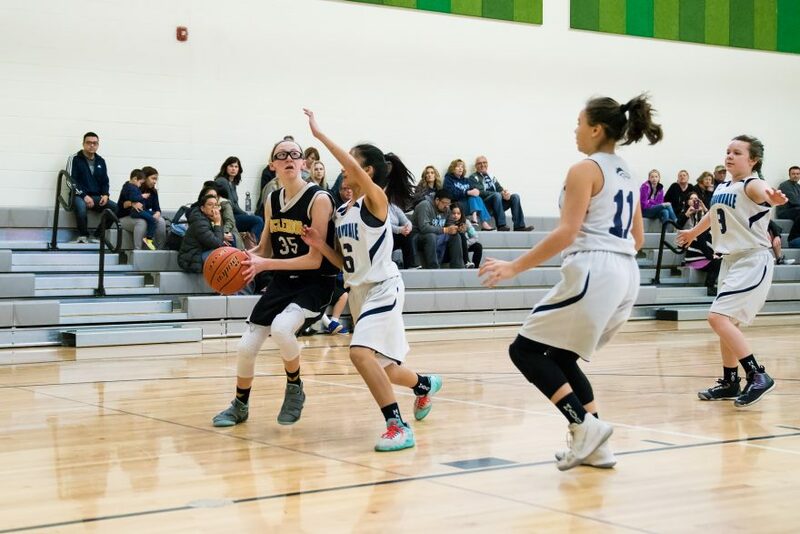 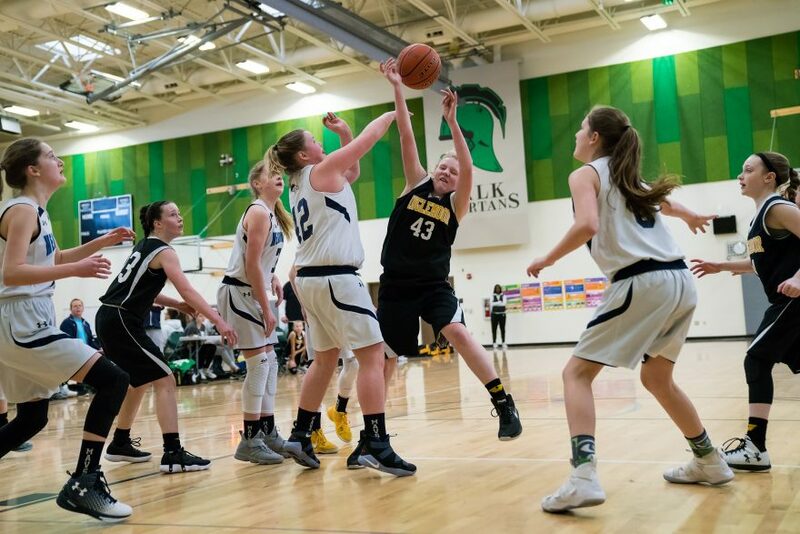 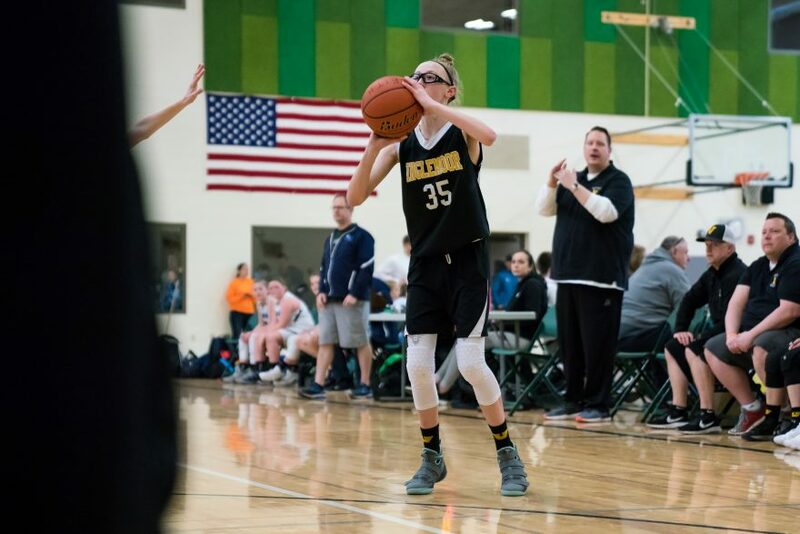 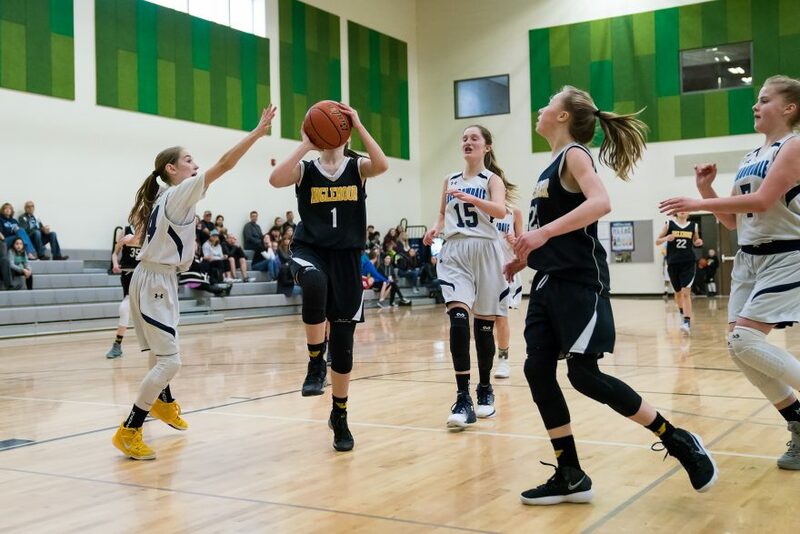 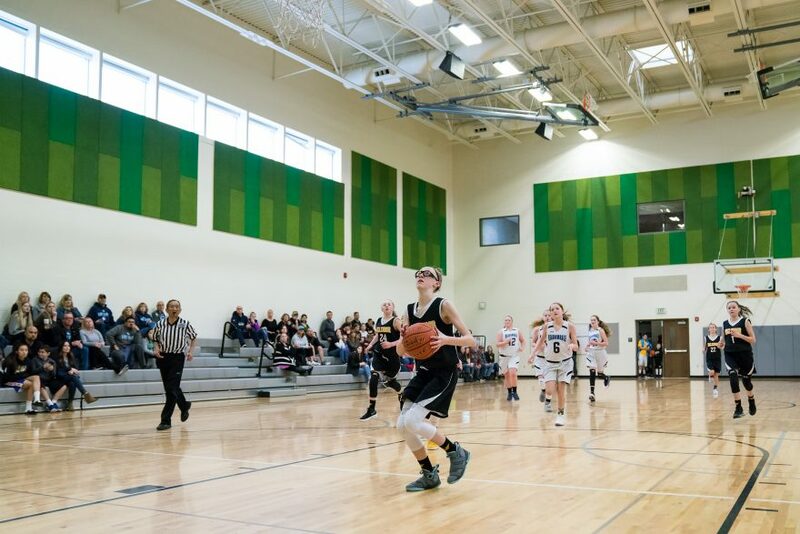 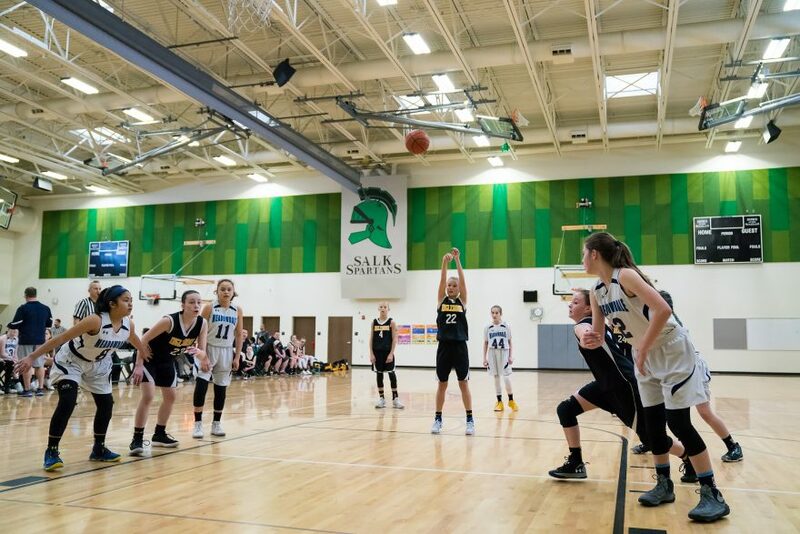 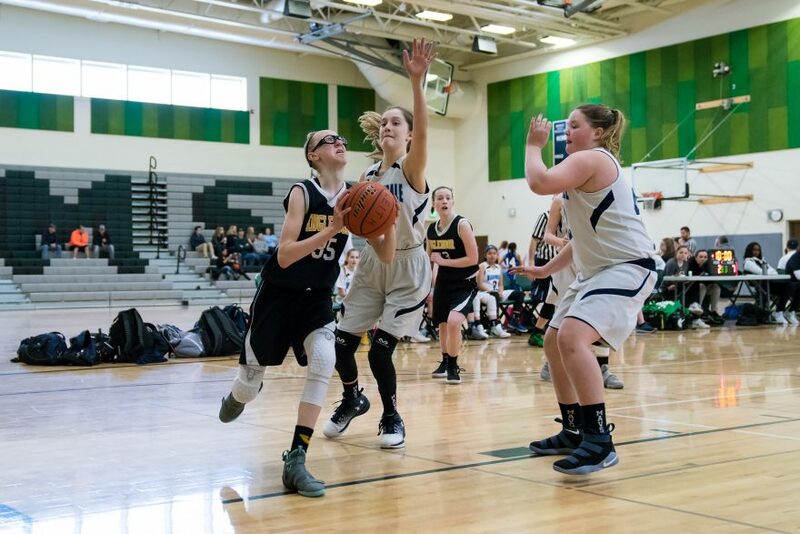 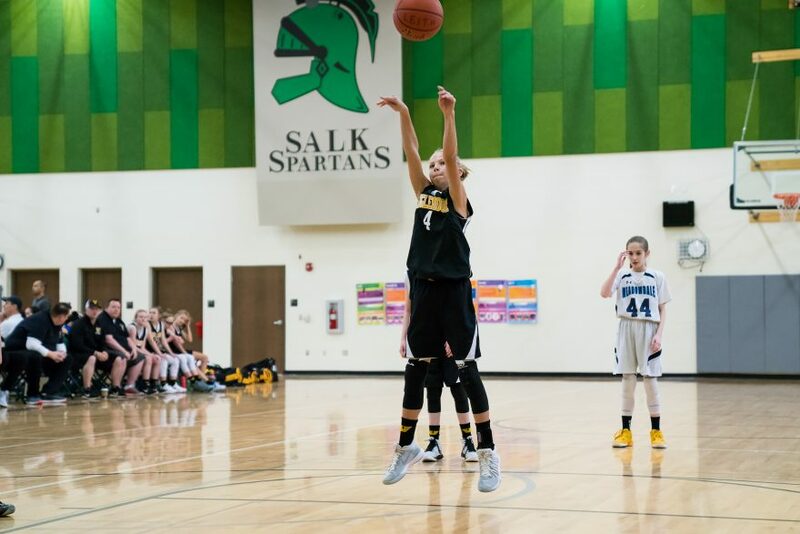 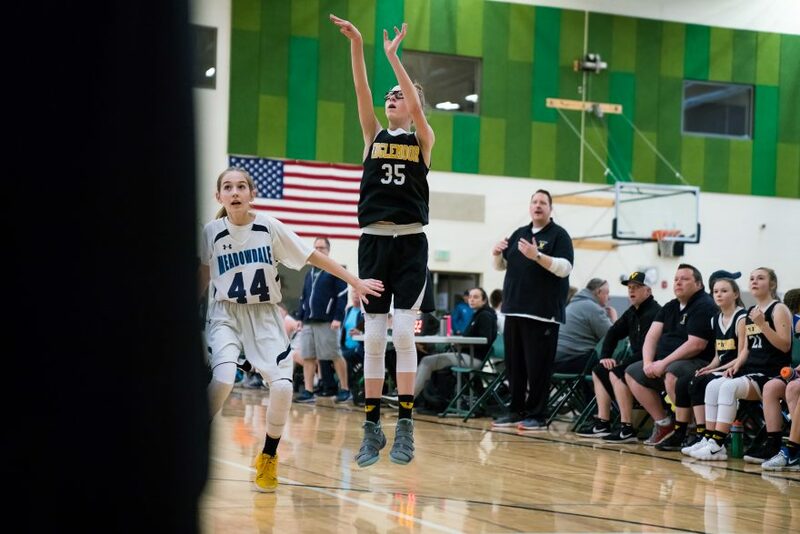 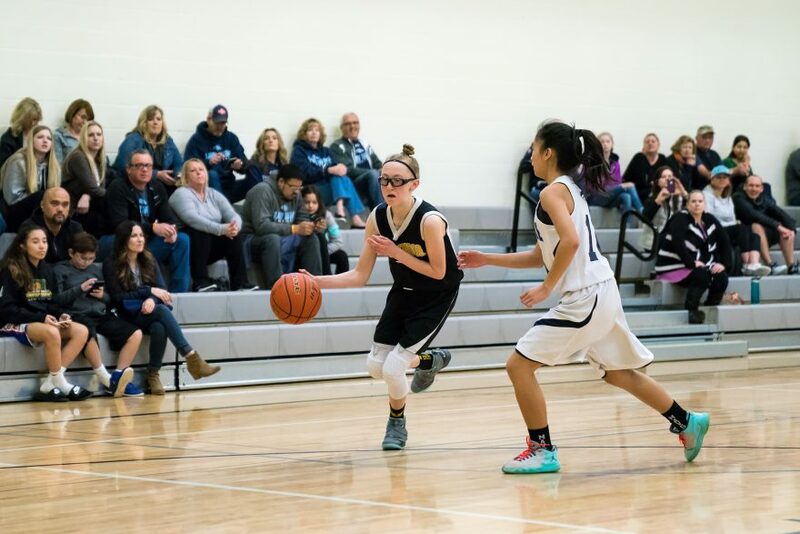 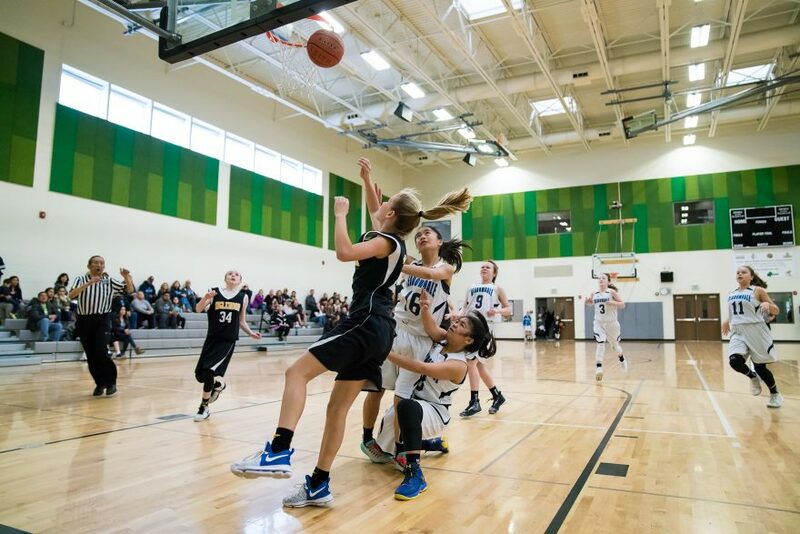 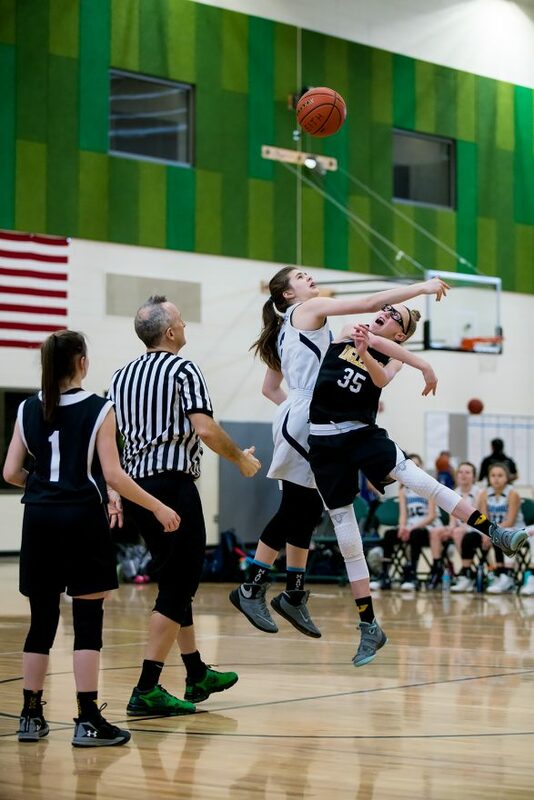 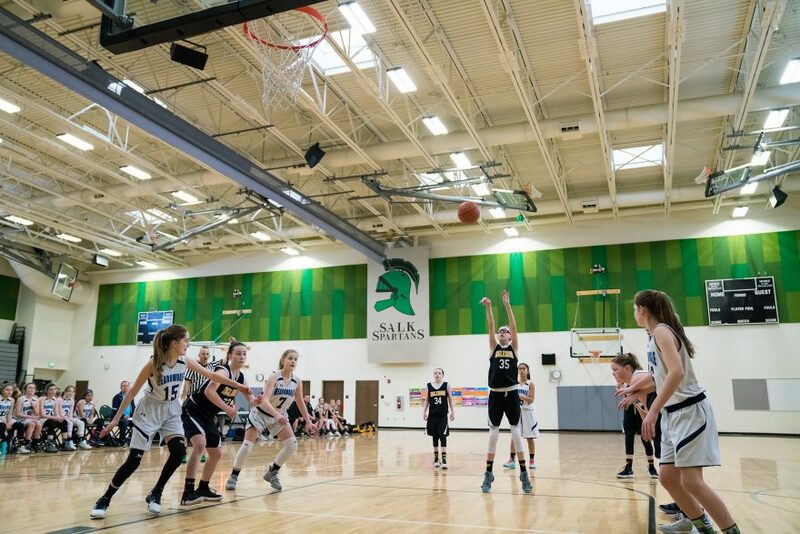 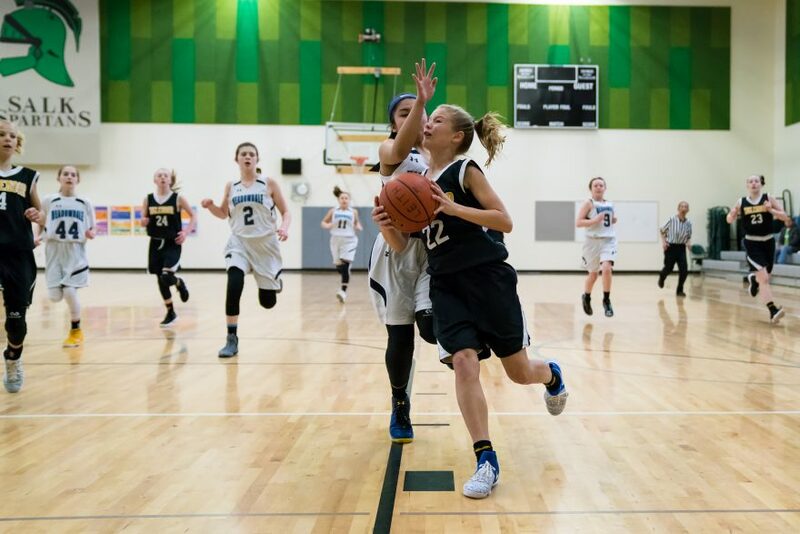 Keeping with tradition for St. Patrick’s Day morning, a rejuvenated Vikings team trekked out to the green-walled gym of Salk Middle School to take on the Meadowdale Mavericks. 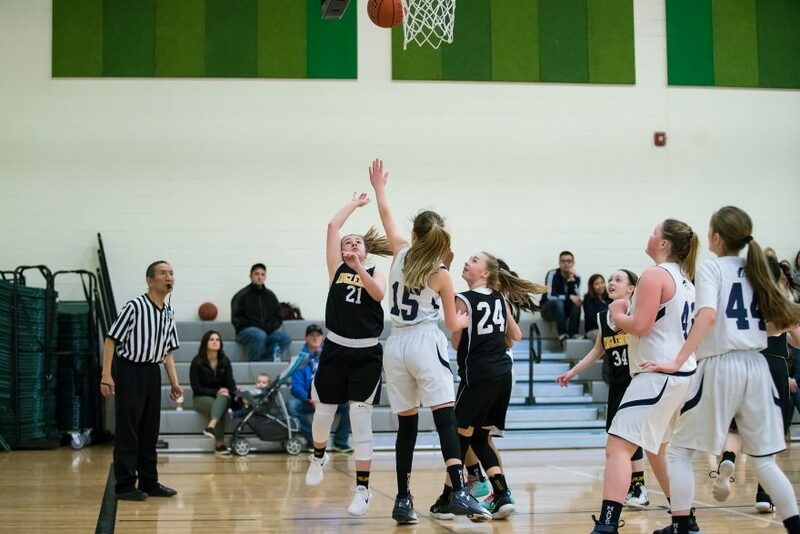 Again, Inglemoor got out to a strong start, leading 6-0 after three minutes of play, and building their lead to 14-2 with six minutes to go in the half. 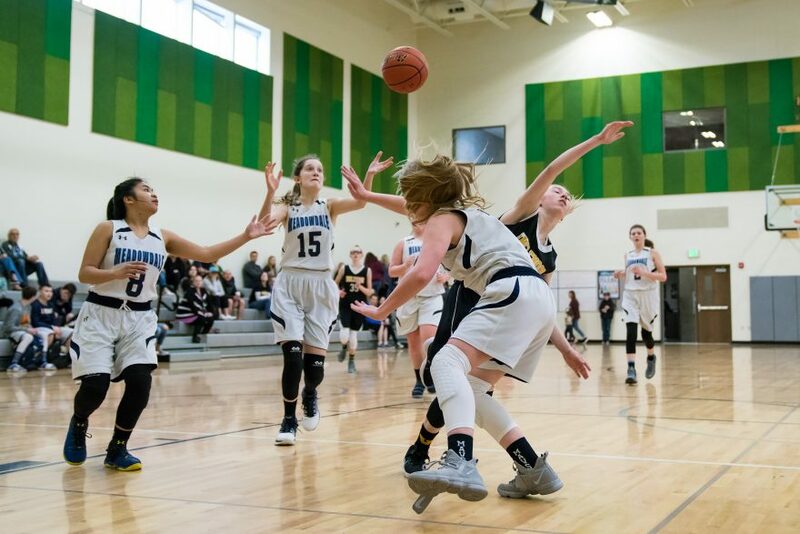 In the closing minutes of the first half, though, Meadowdale held the Vikings scoreless and started fighting their way back, closing the gap to 14-5 at halftime. 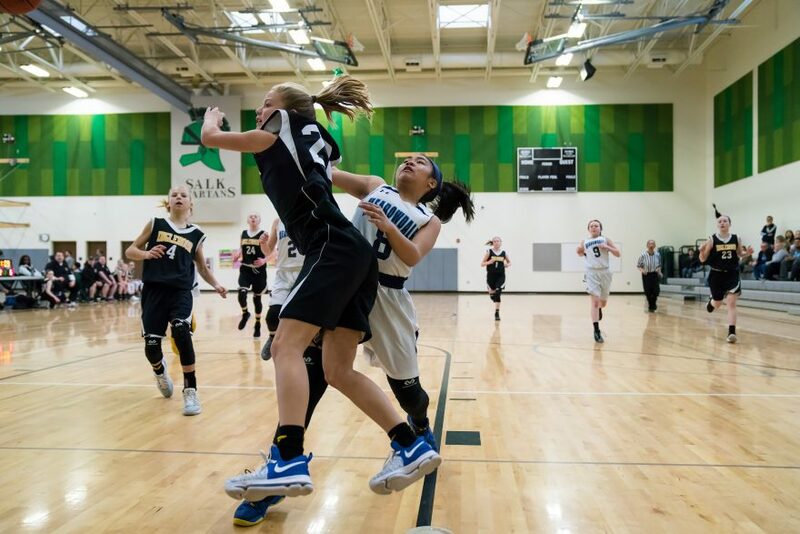 The second half commenced with a layup by the Vikings #35, followed by an 18-footer by the Mavs #42 (16-8). 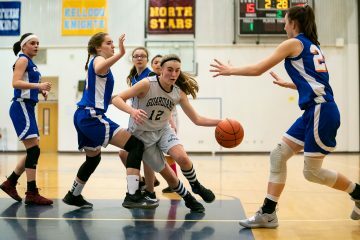 But it wasn’t long before the Vikings started scoring again, and midway through the second half, the Vikings led 24-11. 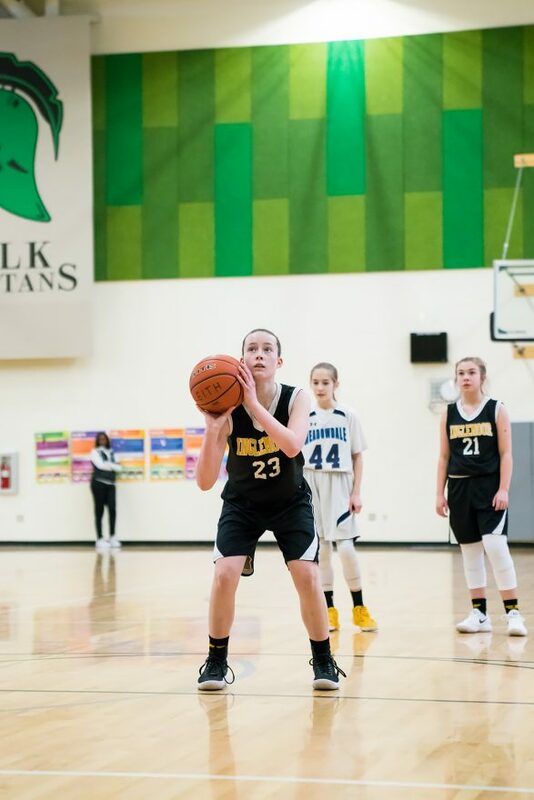 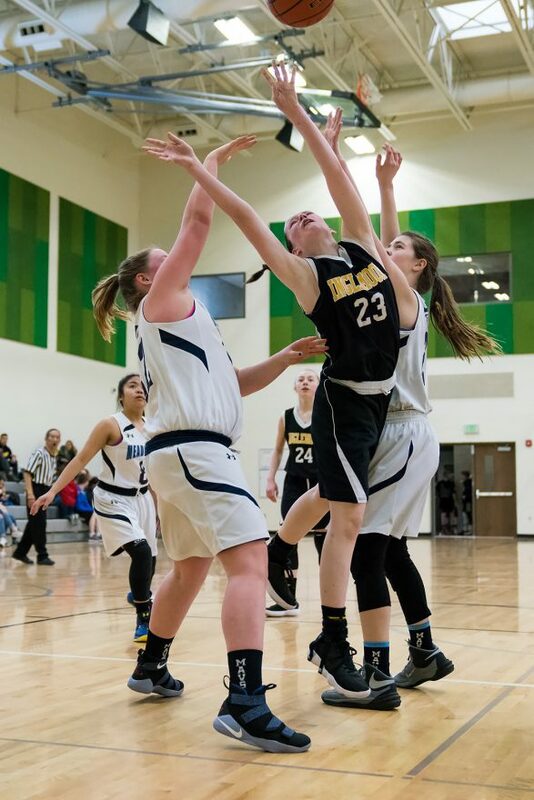 With 12 seconds remaining in the game, Inglemoor’s #21 hit a 3-pointer from the top of the key to make the score 33-13, the Vikings closing with their biggest lead of the game.